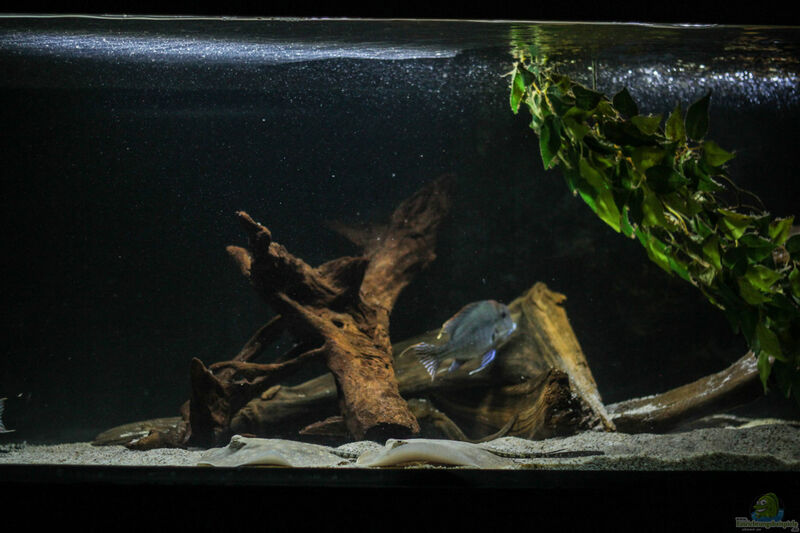 Because of the trimming only artificial plants are used in the terrarium. 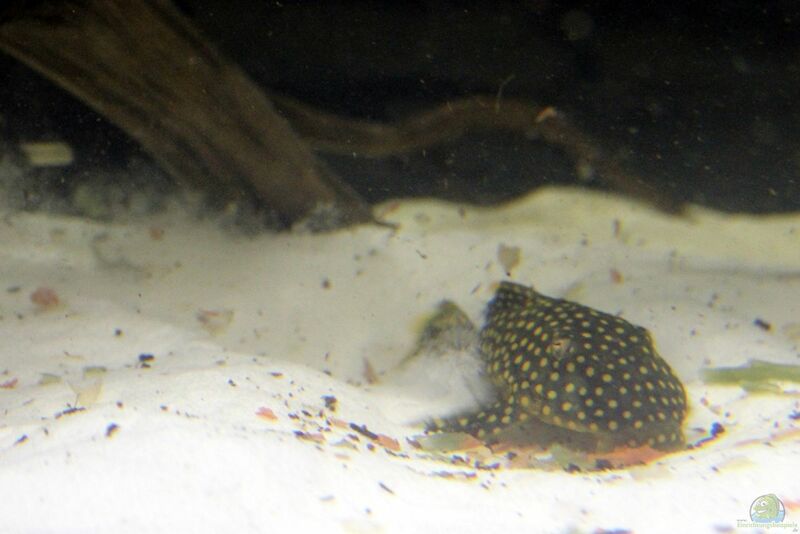 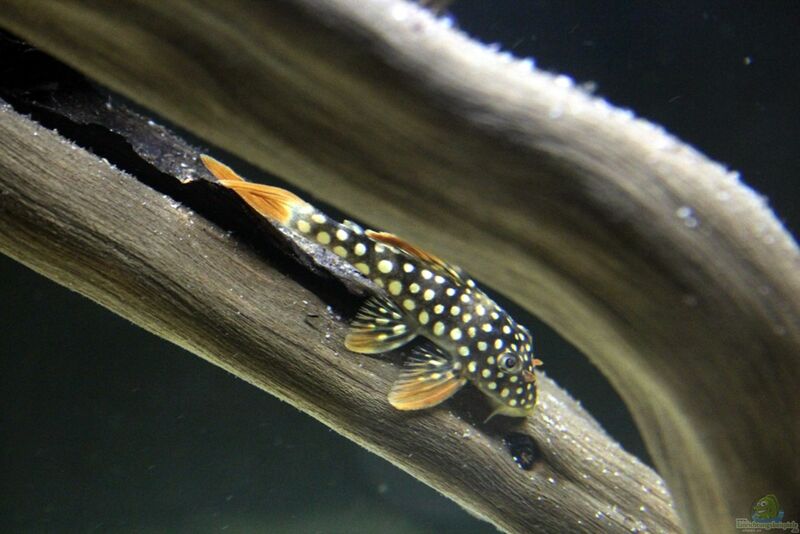 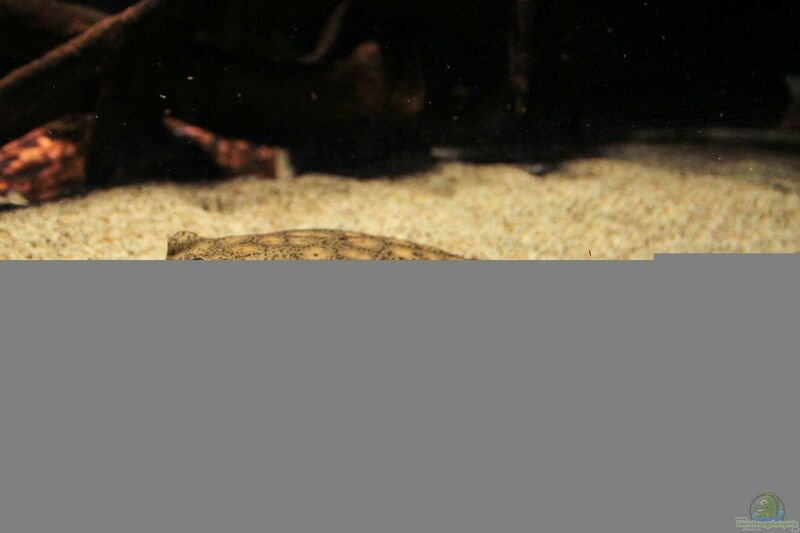 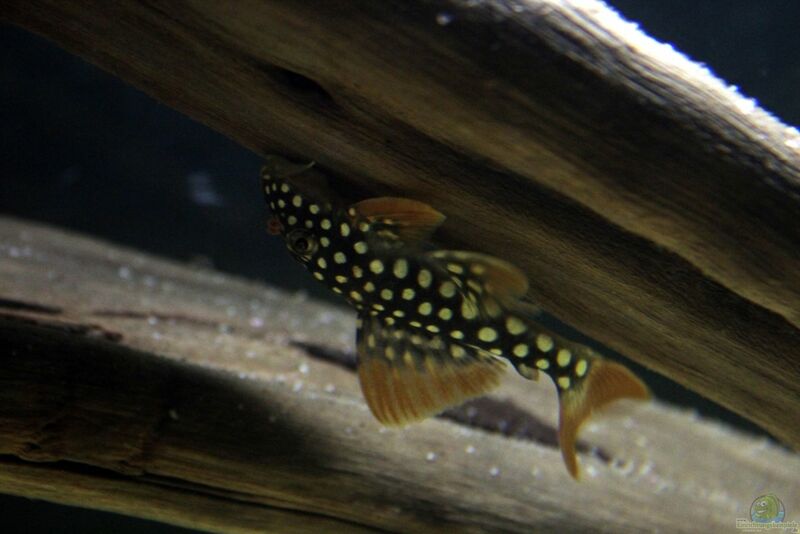 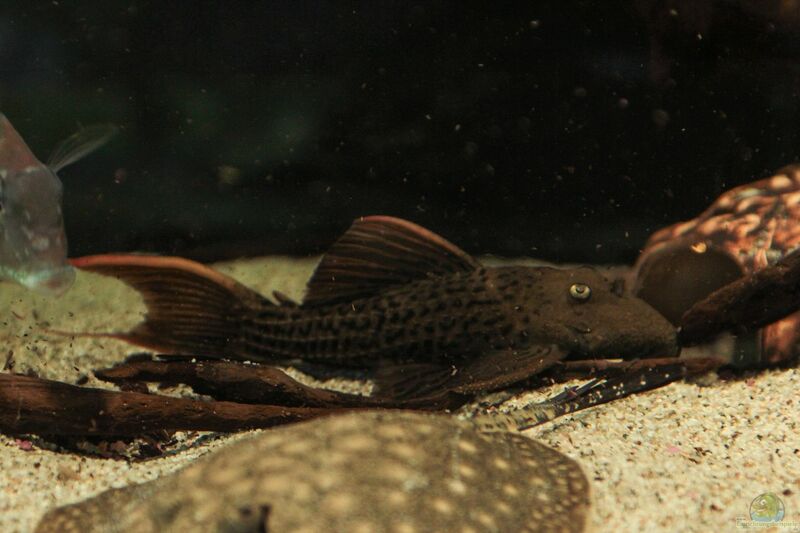 Since 18.03.2013 I am the proud owner of 2 Potamotrygon Hystrix. 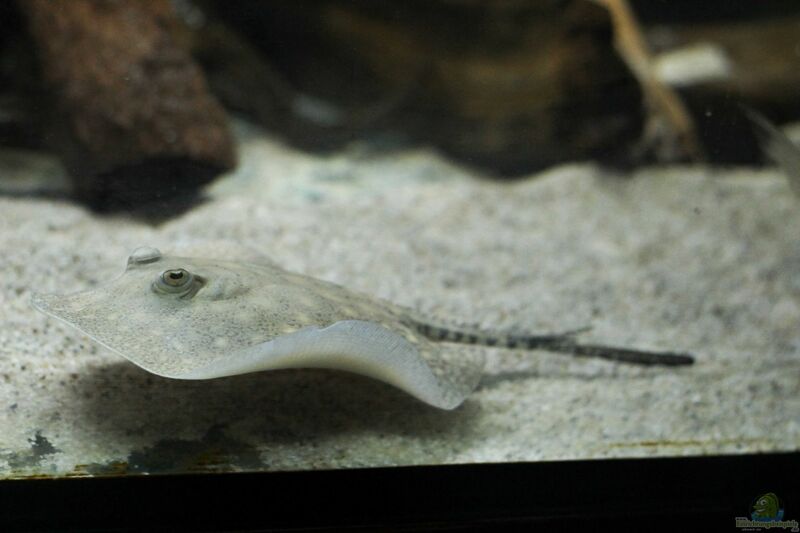 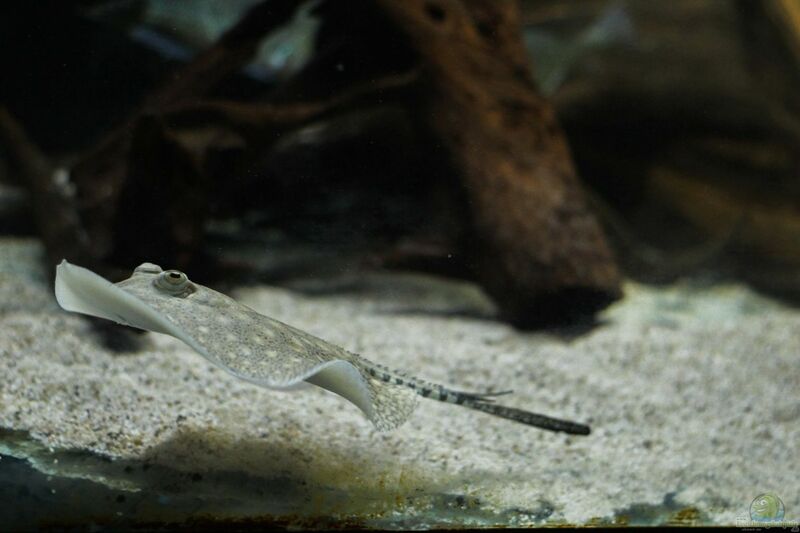 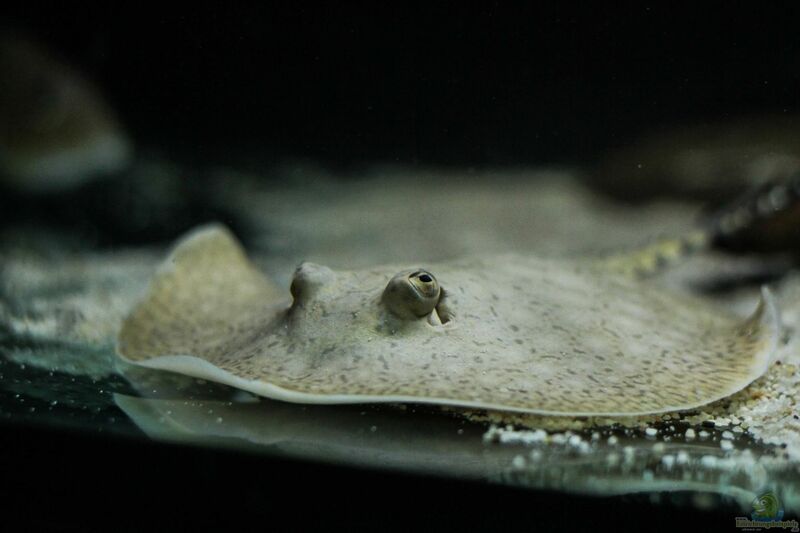 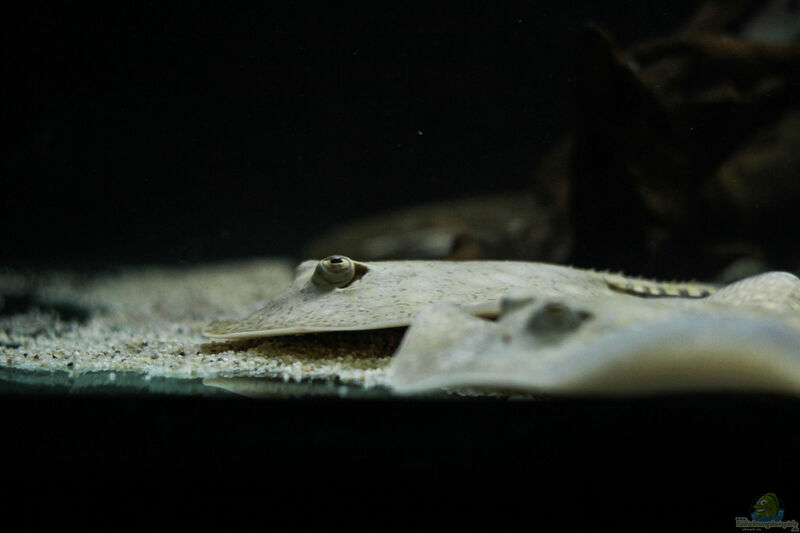 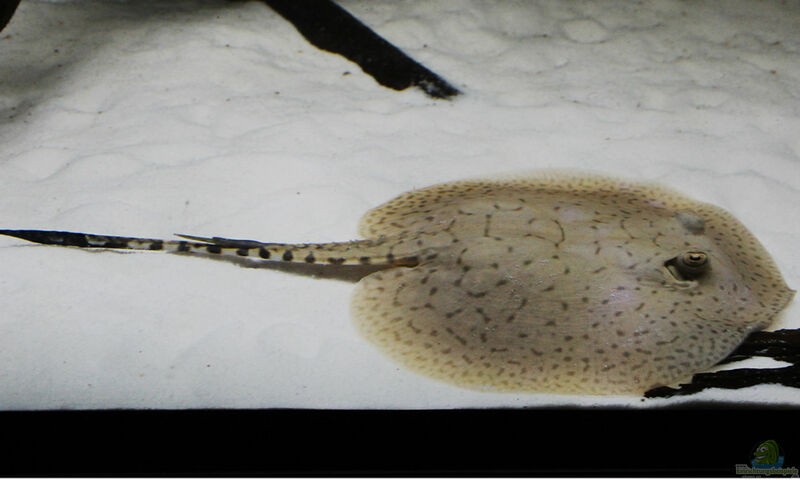 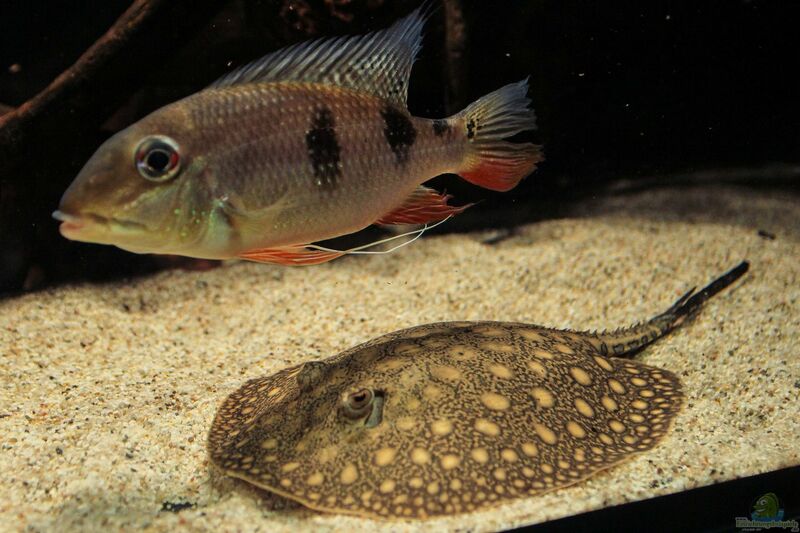 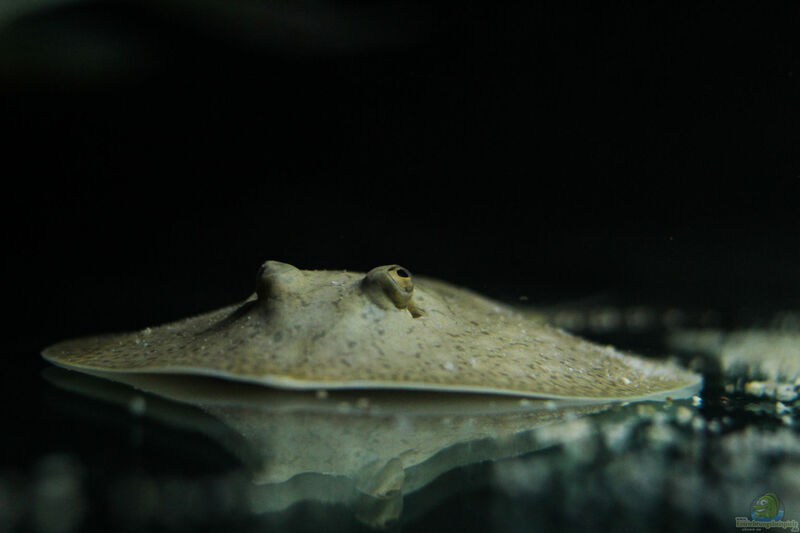 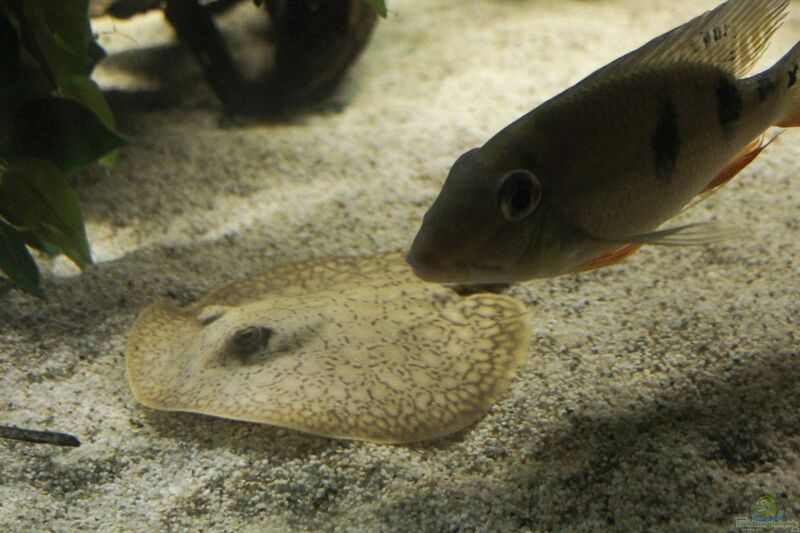 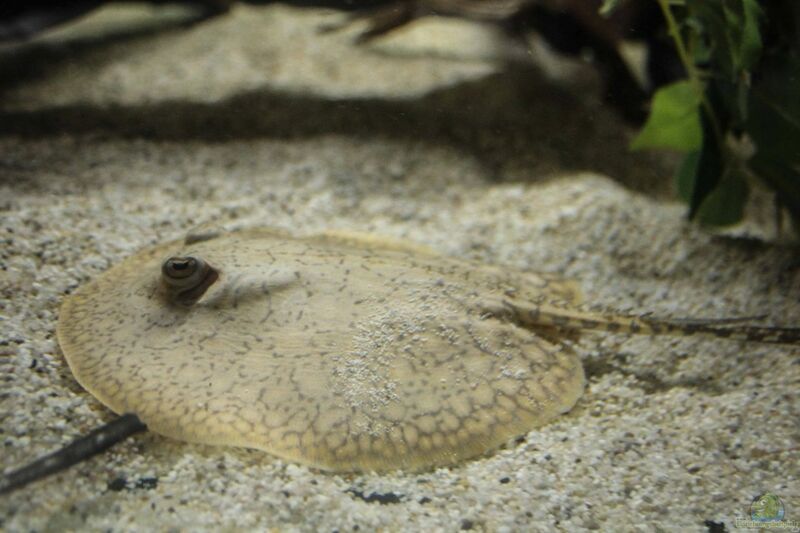 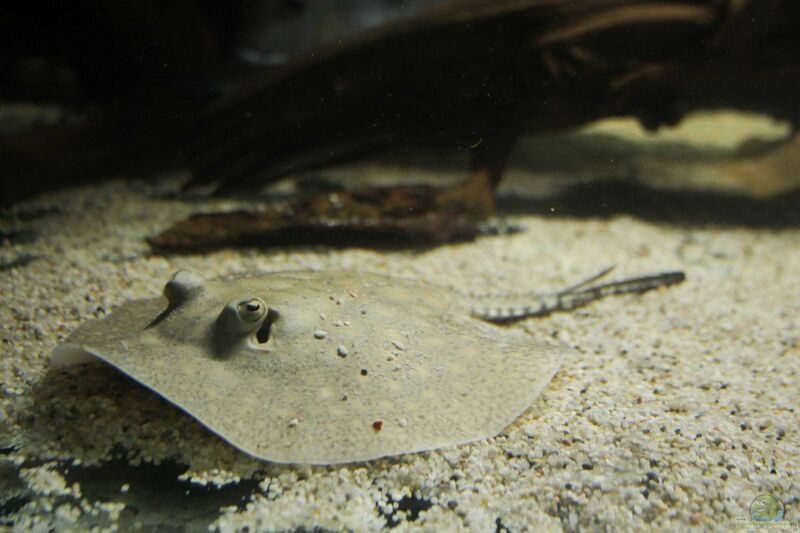 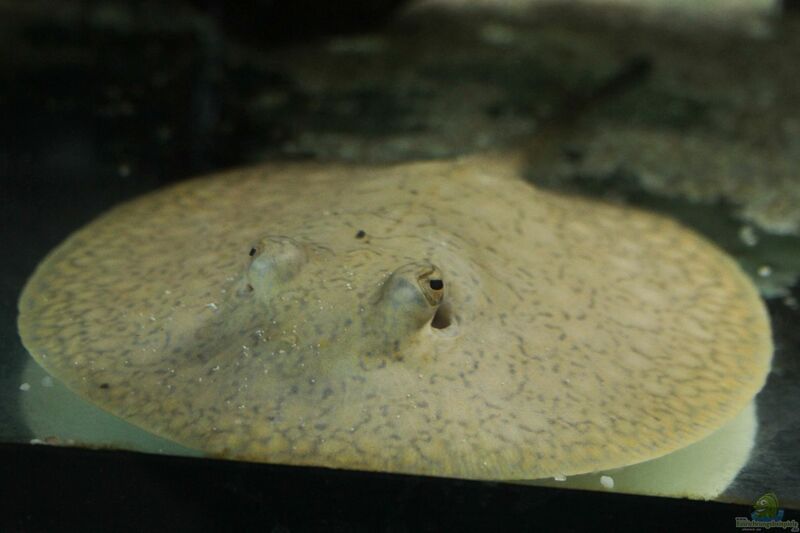 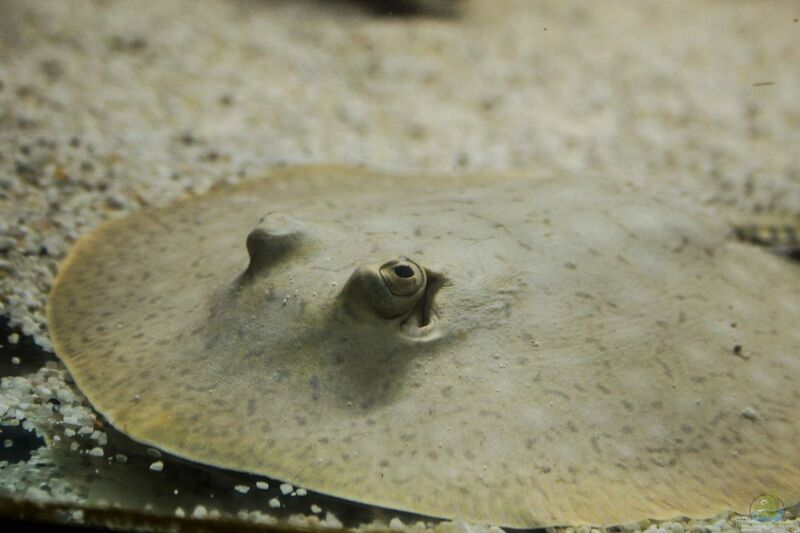 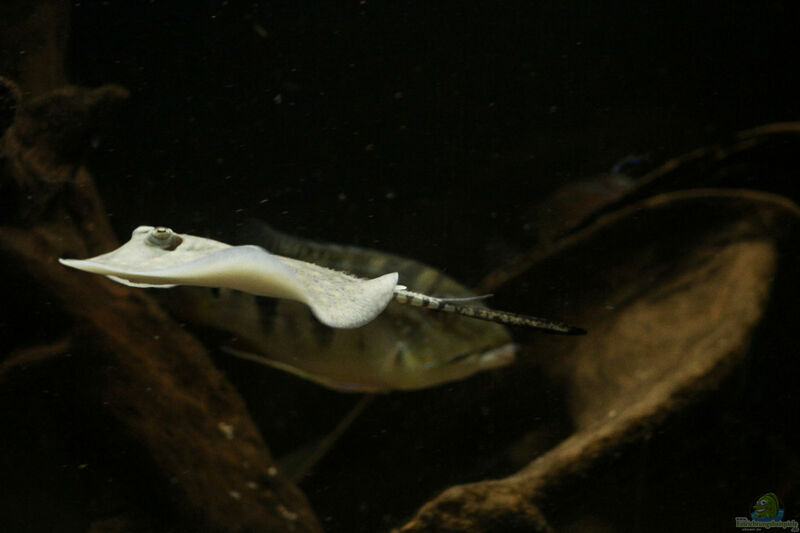 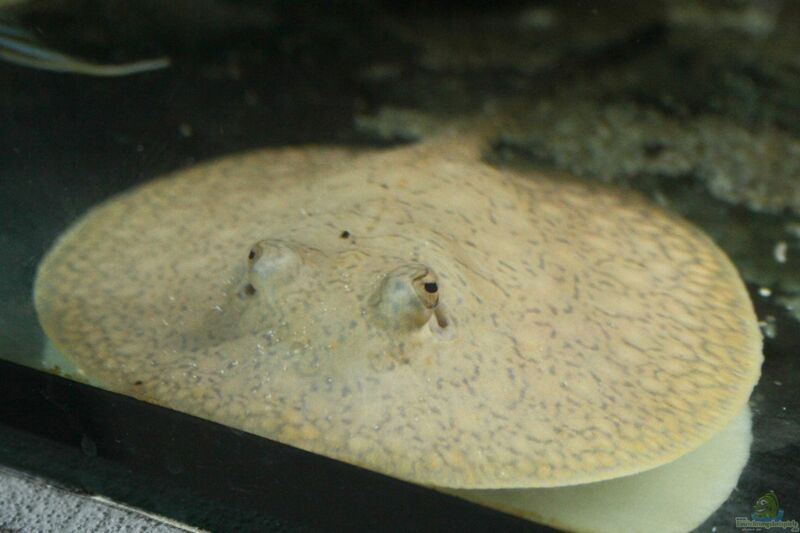 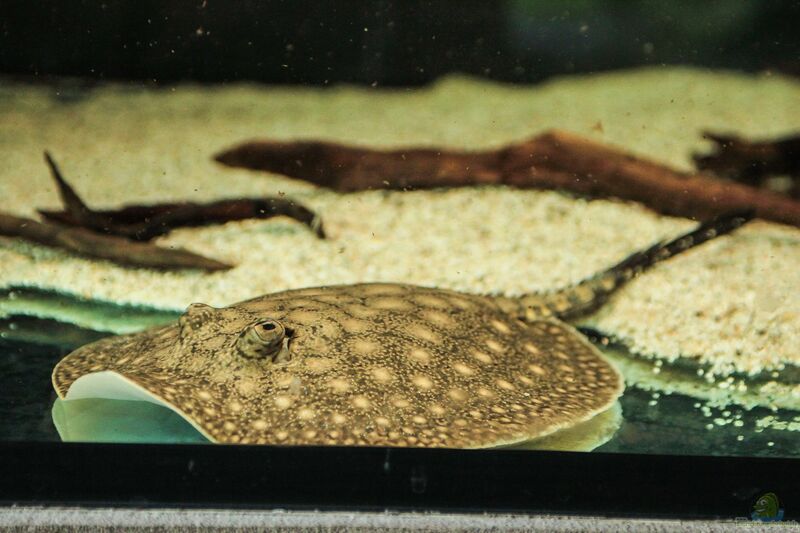 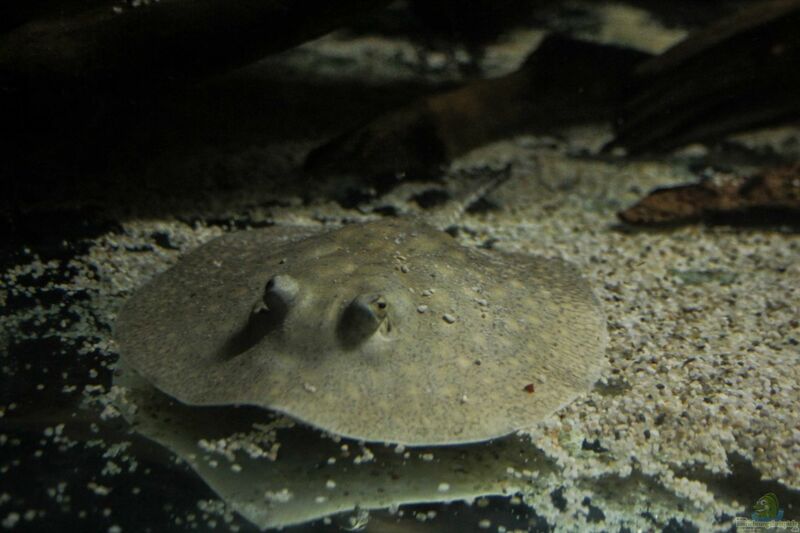 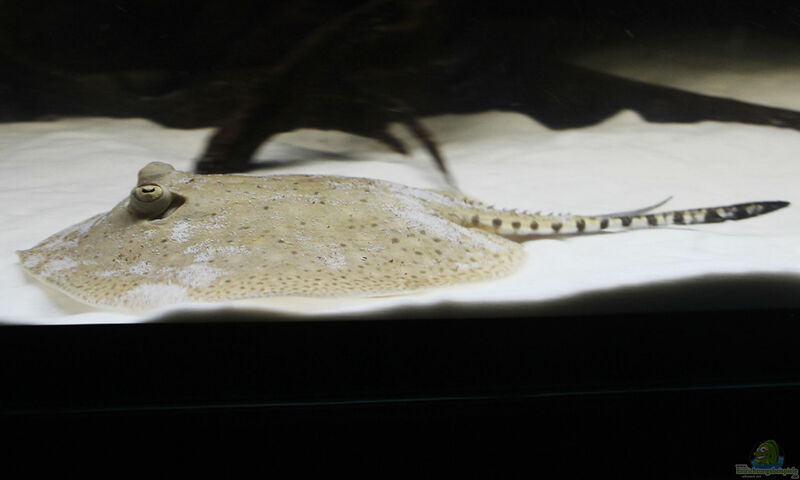 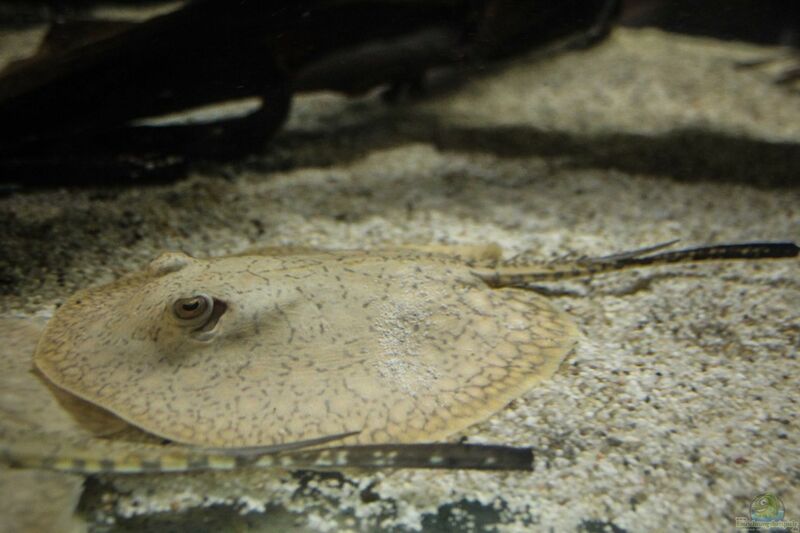 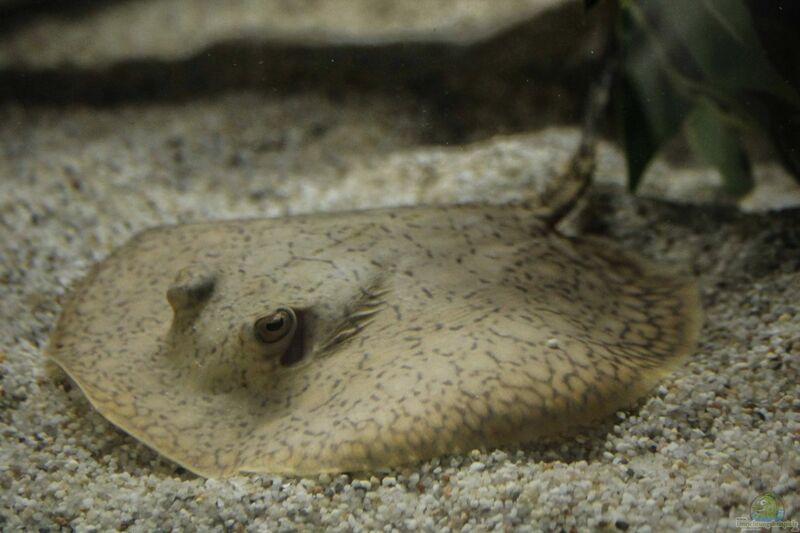 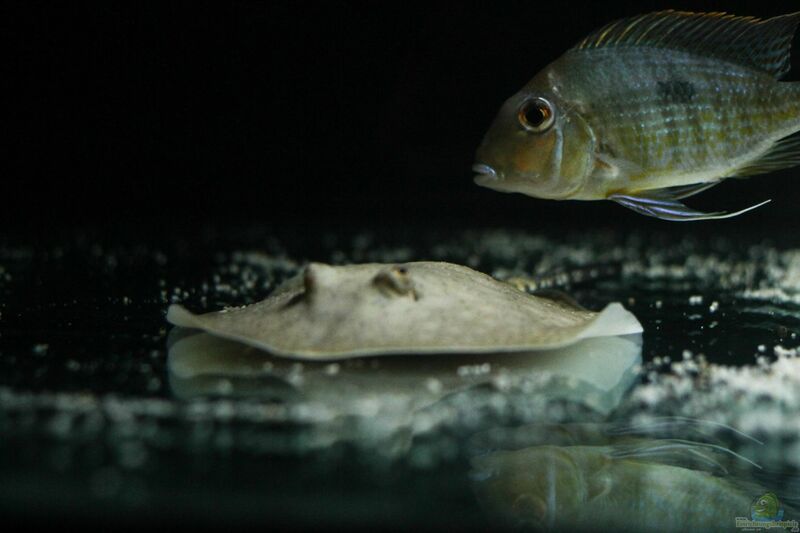 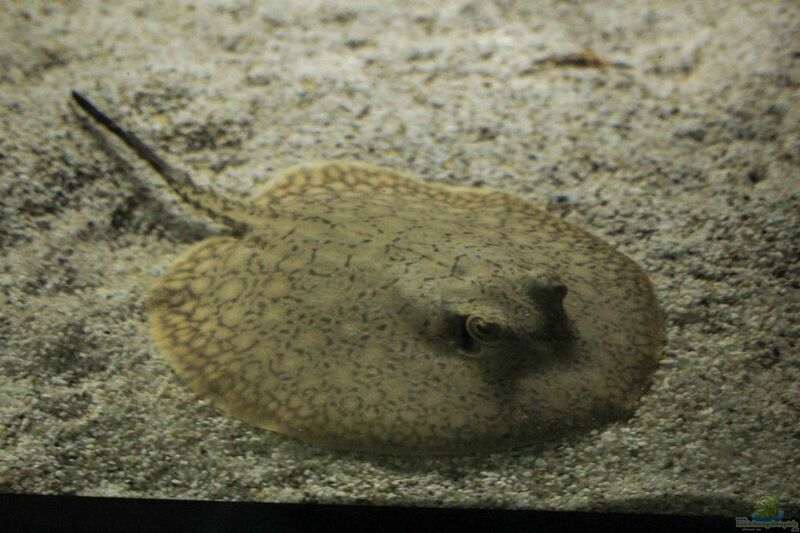 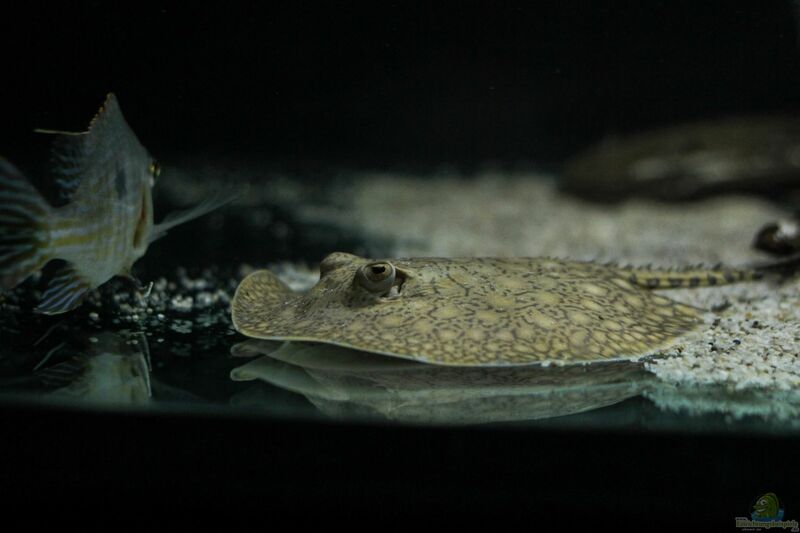 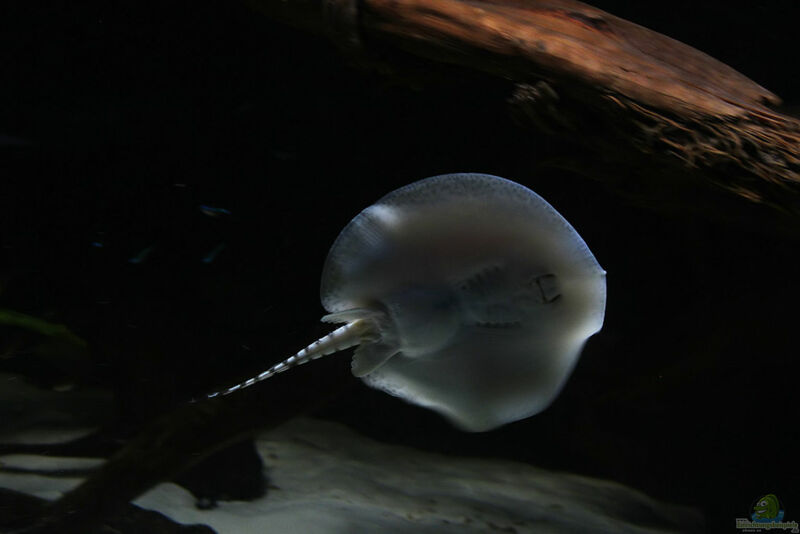 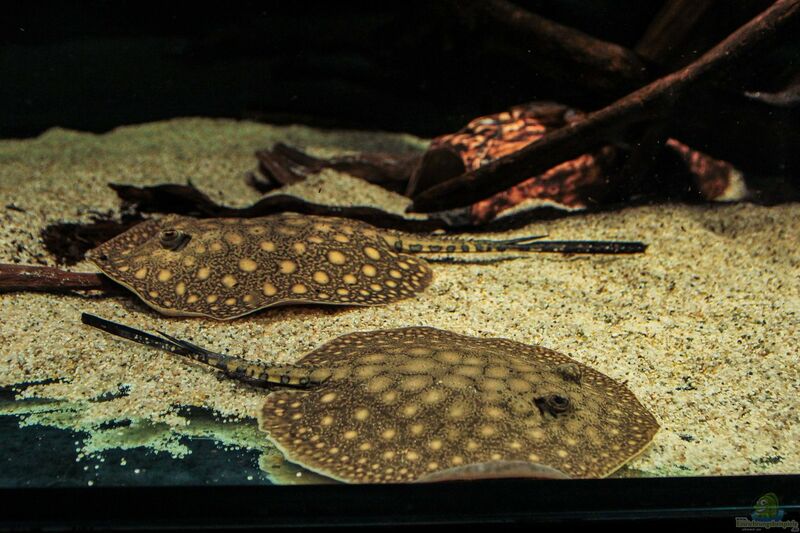 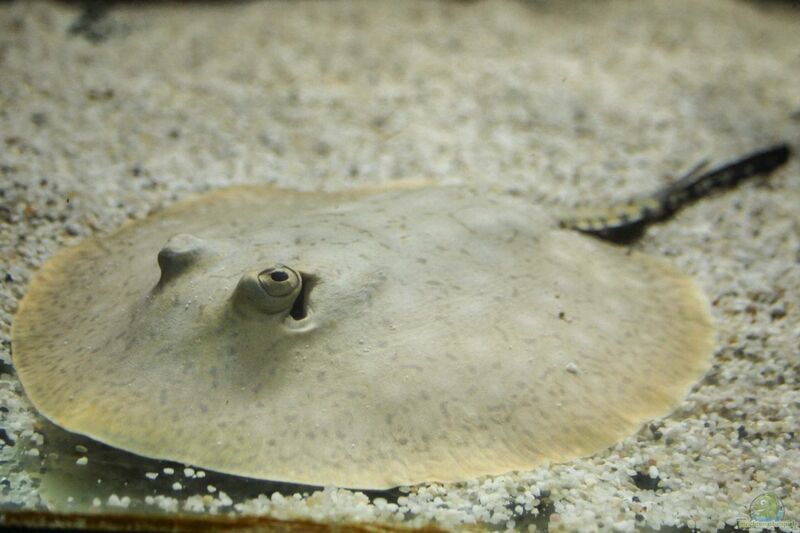 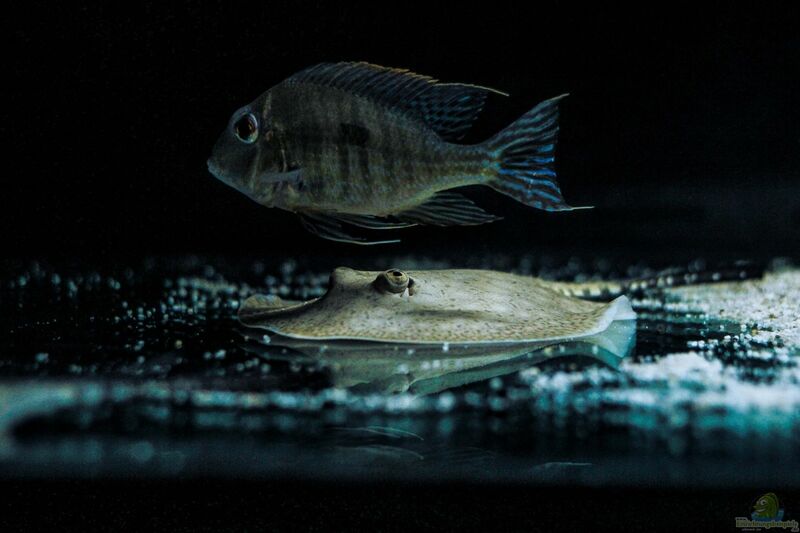 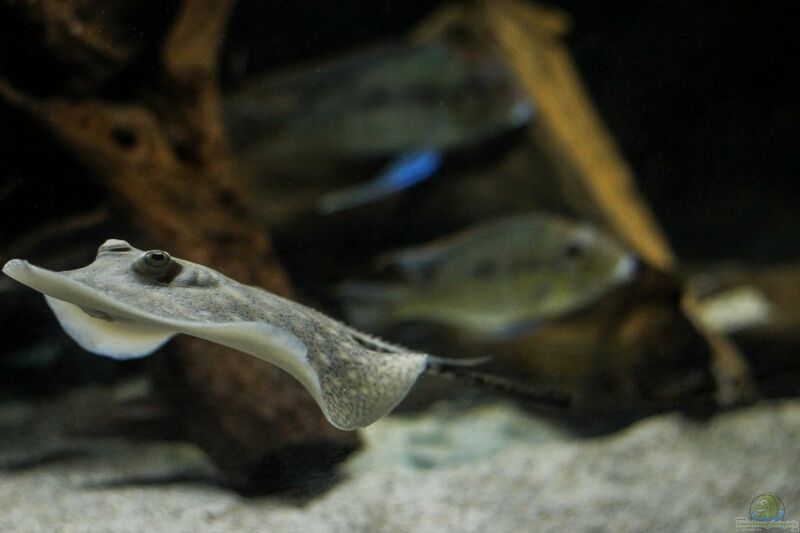 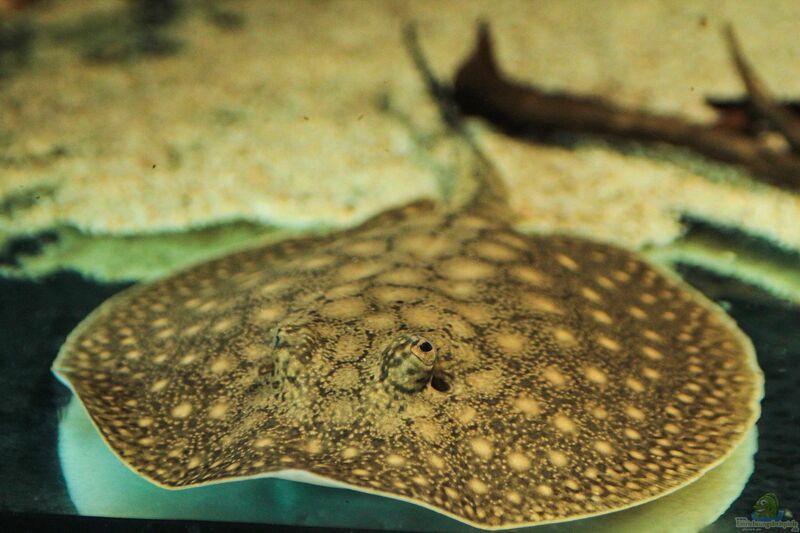 This type of Amazon stingrays heard next Scobina and Reticulatus to the smaller permanent skate (to 30cm) and can therefore keep well in relatively small aquariums, where 200x70 my opinion even the minimum level corresponding to a permanent position. 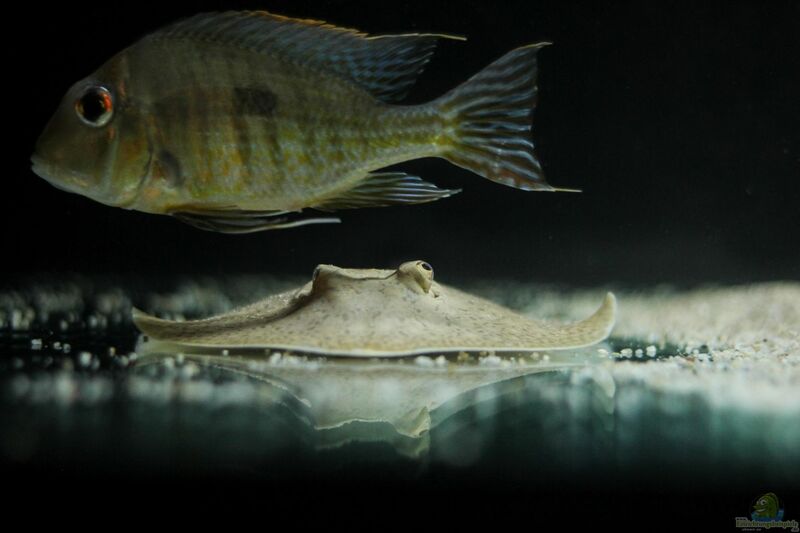 My decision regarding Potamotrygon Hystrix resulted from the beautiful drawings of animals that develop gradually and on the other hand this kind is one of the more quiet skate, leaving a little more room for the rest of the stocking. 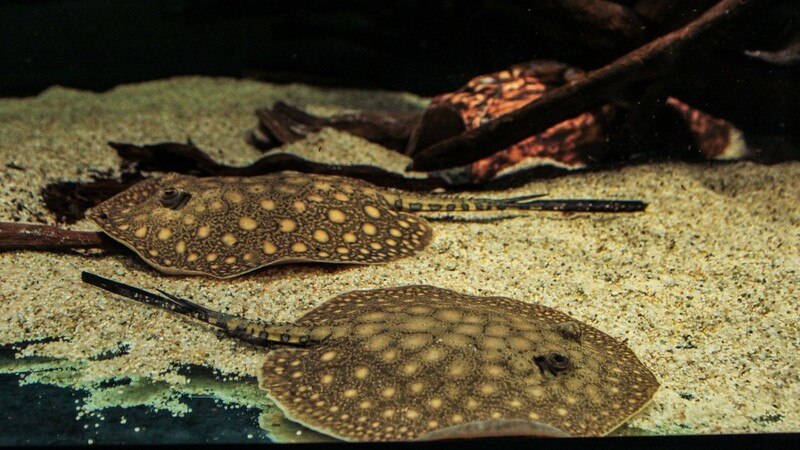 Furthermore, to Hystrix Rays also be more leisurely in growth, with limited area was a determining factor for me especially at pool. 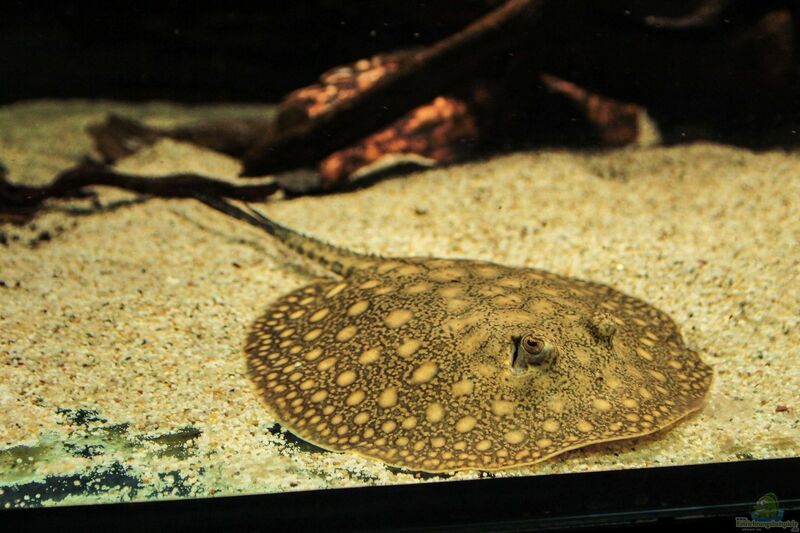 With durable attitude I mean that I would like to draw the rays as large as possible, but probably sometime have to change the major to minor. 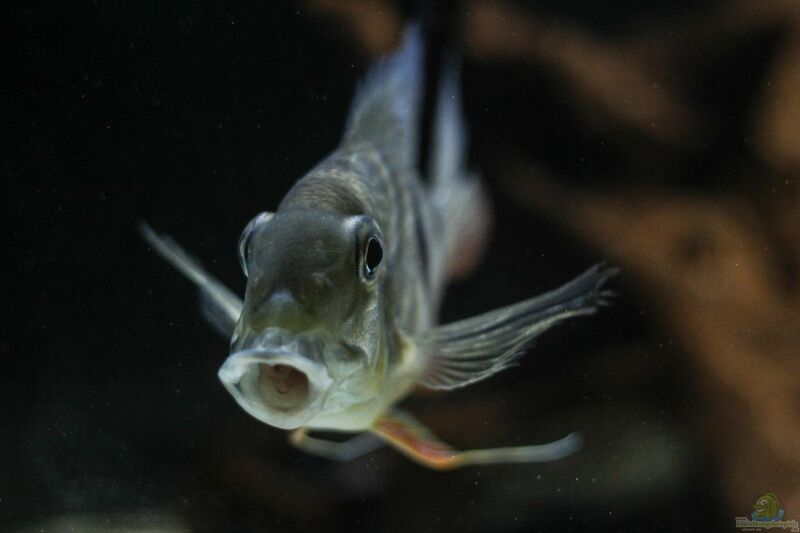 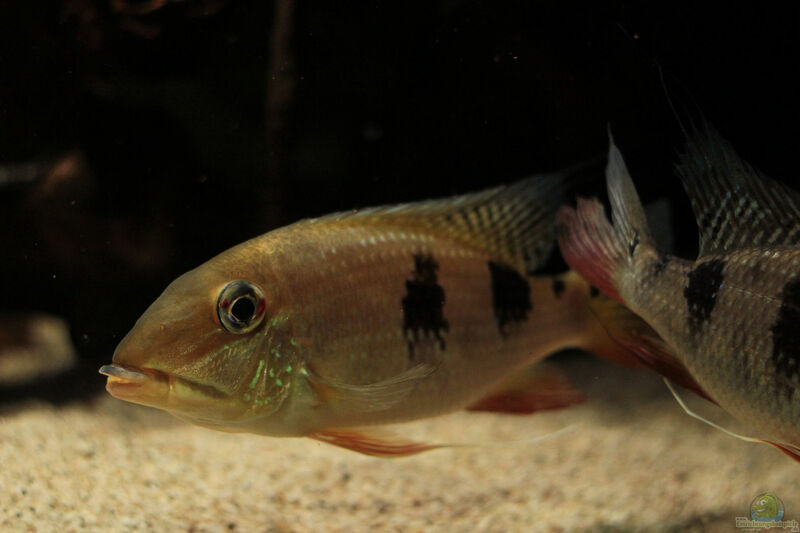 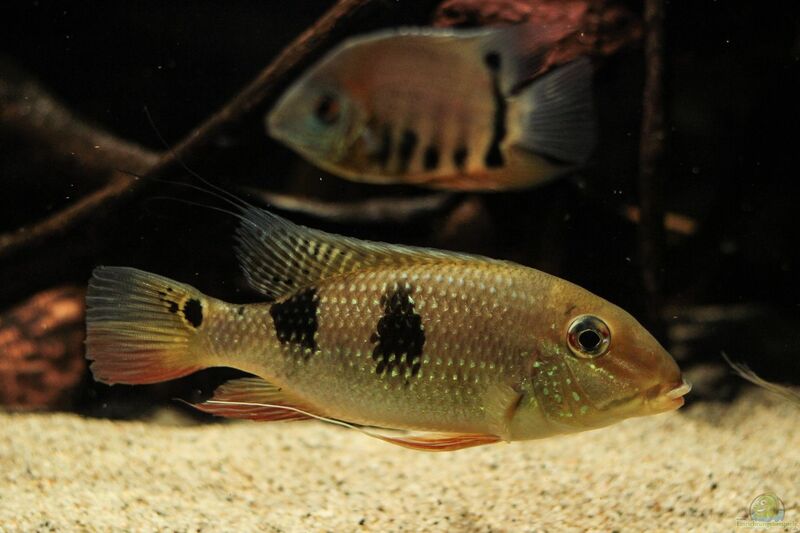 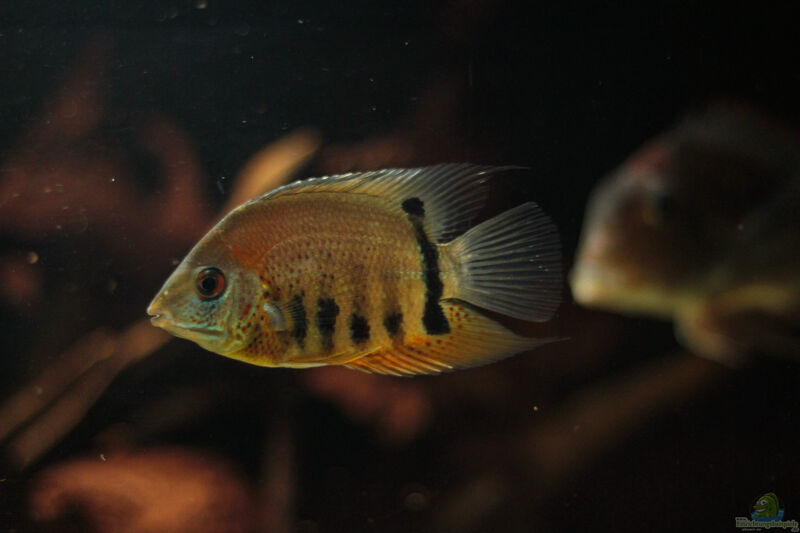 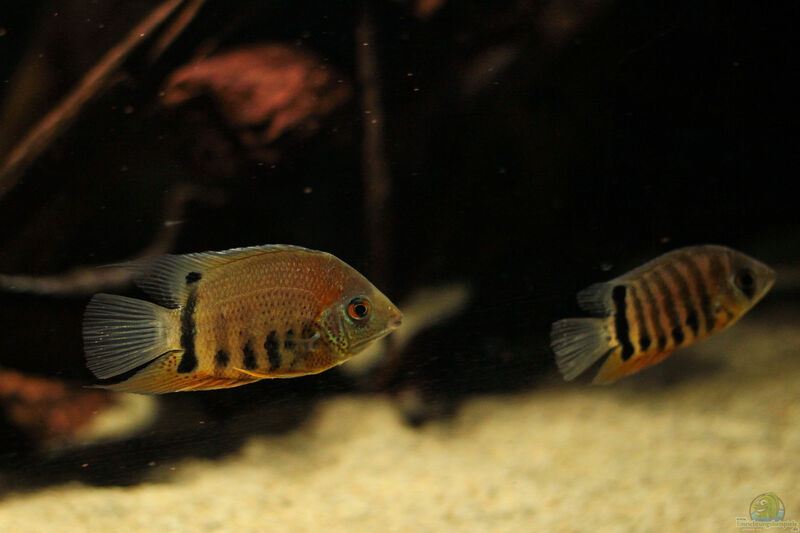 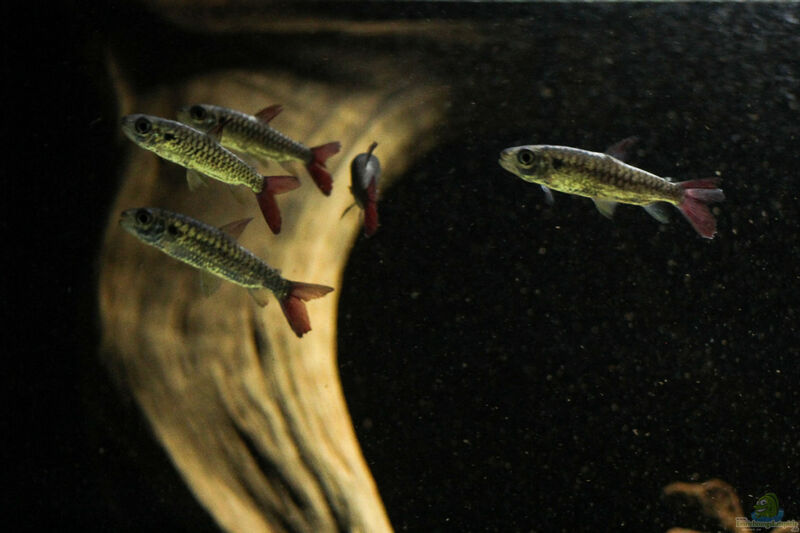 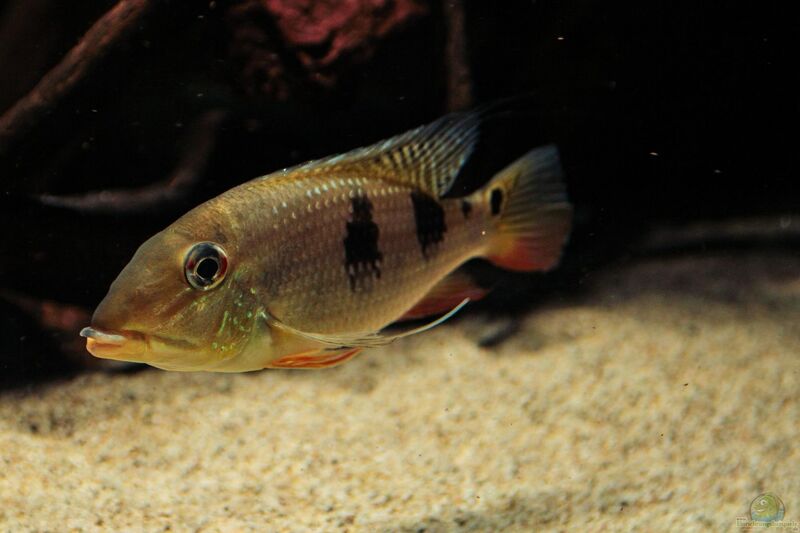 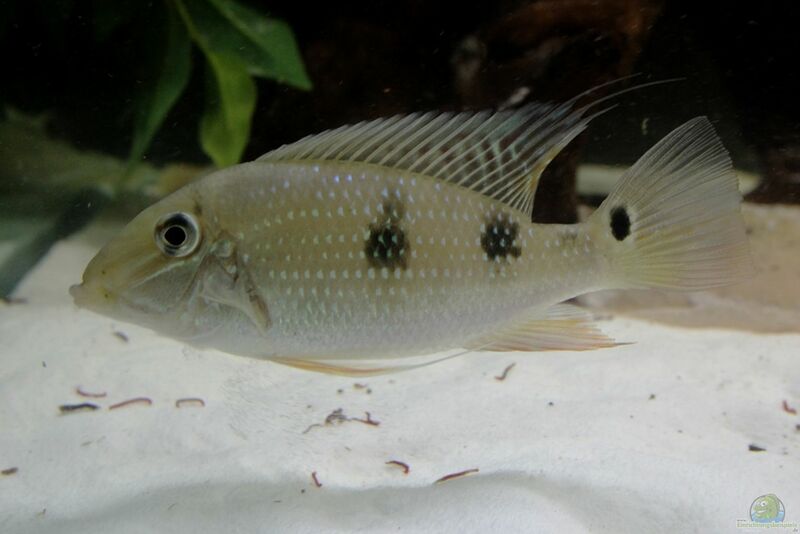 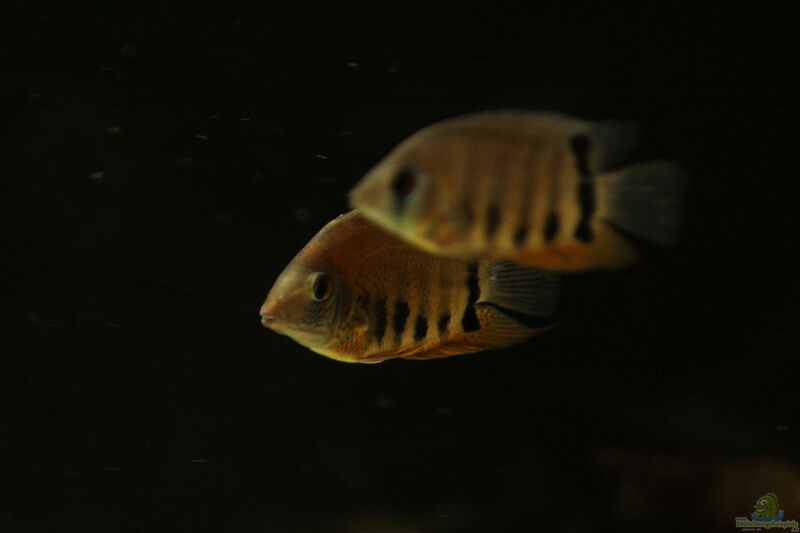 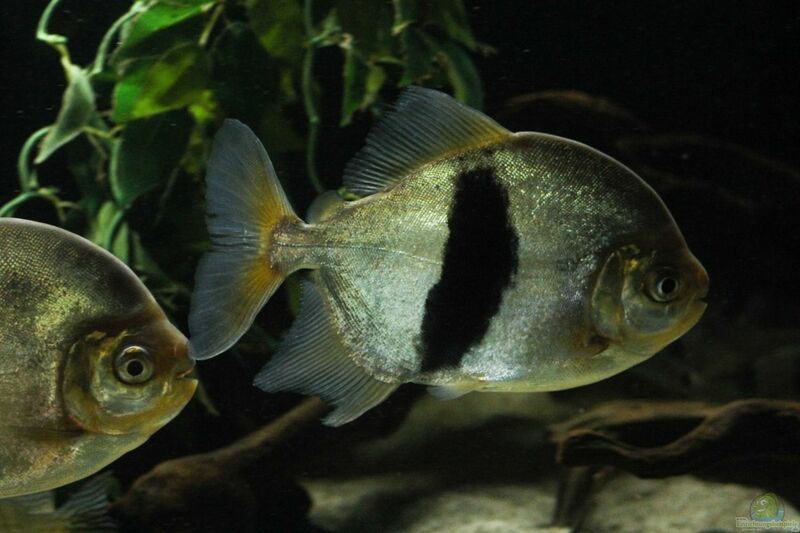 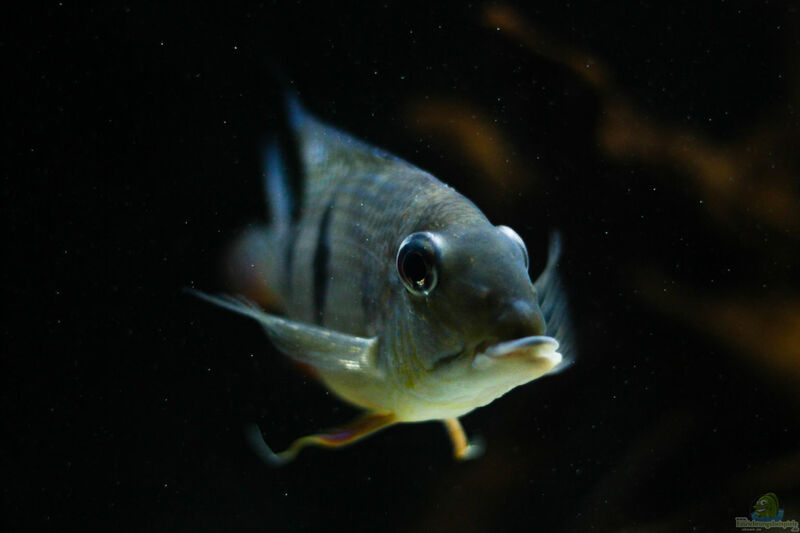 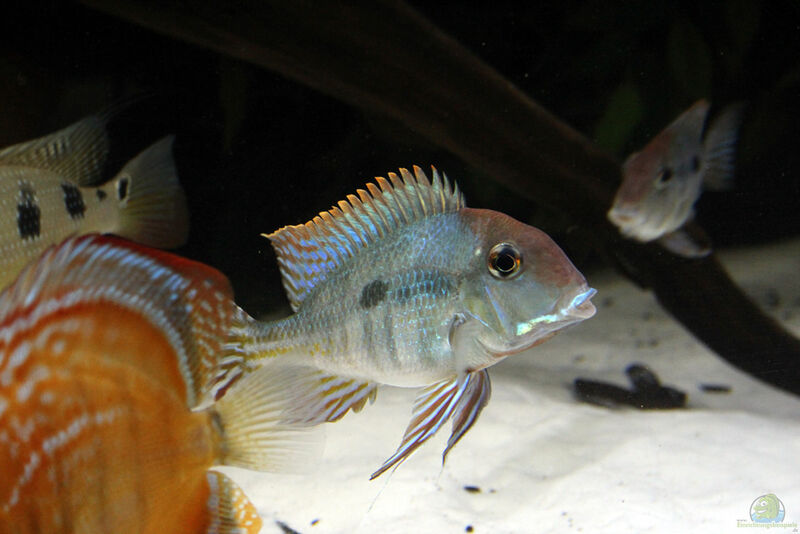 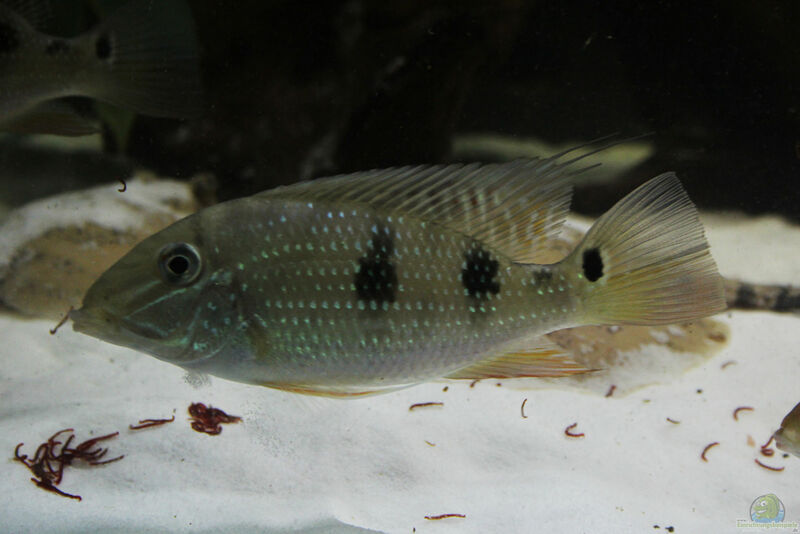 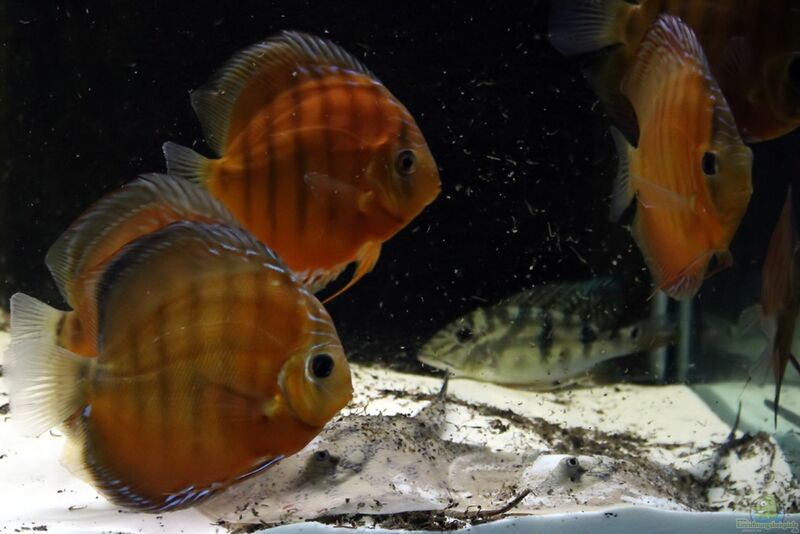 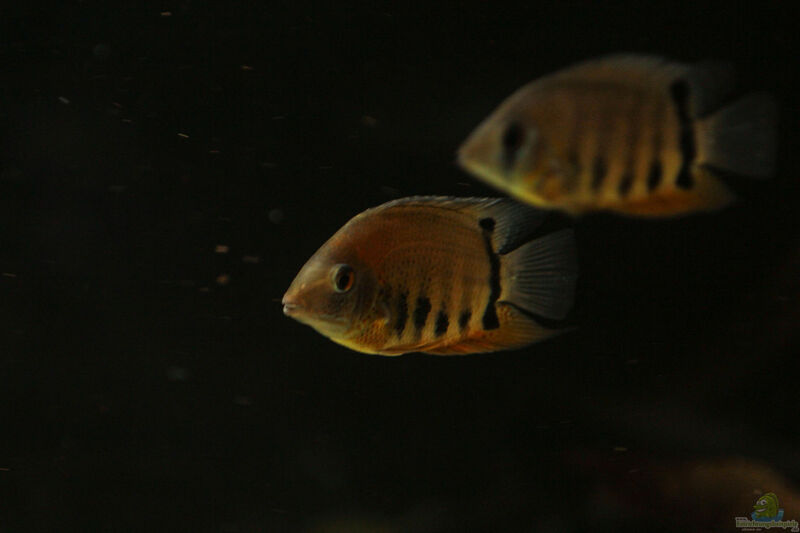 The socialization of Geophagus with Satanoperca works wonderfully so far, the animals swim peacefully in the group together, as it would be a pure Geophagus group. 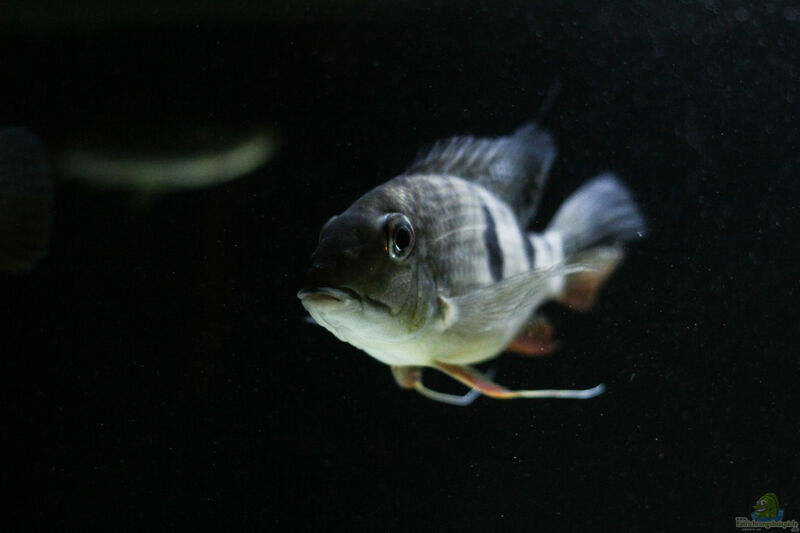 Only alone I have to be very careful when feeding that my skates gotten enough to eat, because especially the Geophagus eat anything that falls into the pool in front of them. 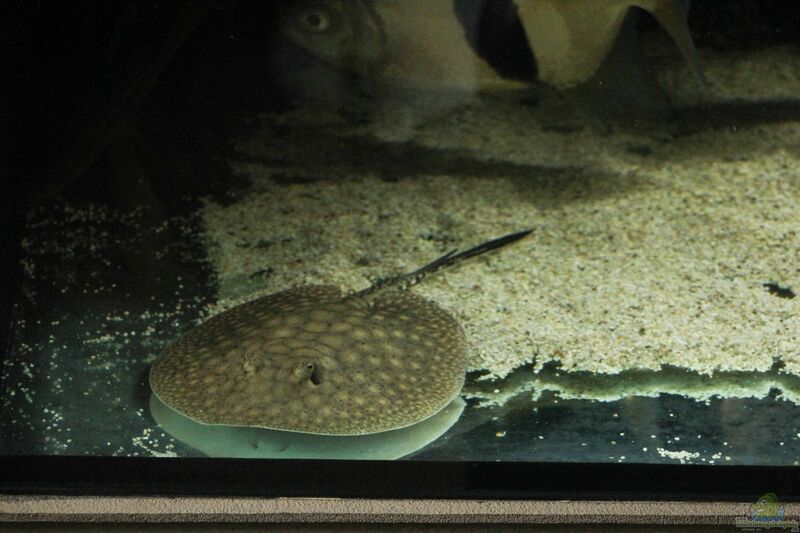 For some time I feed the stingrays therefore a Prlanzenzange that I have converted to hemostats. 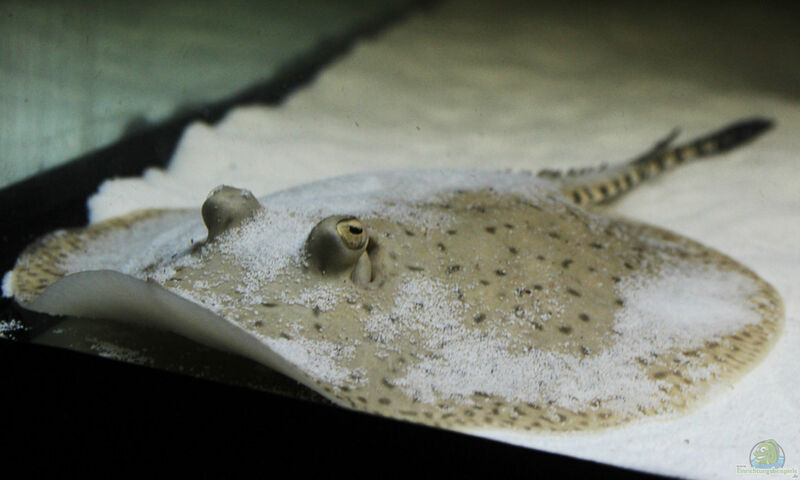 Because my attempt is to feed a plant tongs unfortunately brought no success in feeding the rays, I've been thinking long and am a very good solution, I think come. 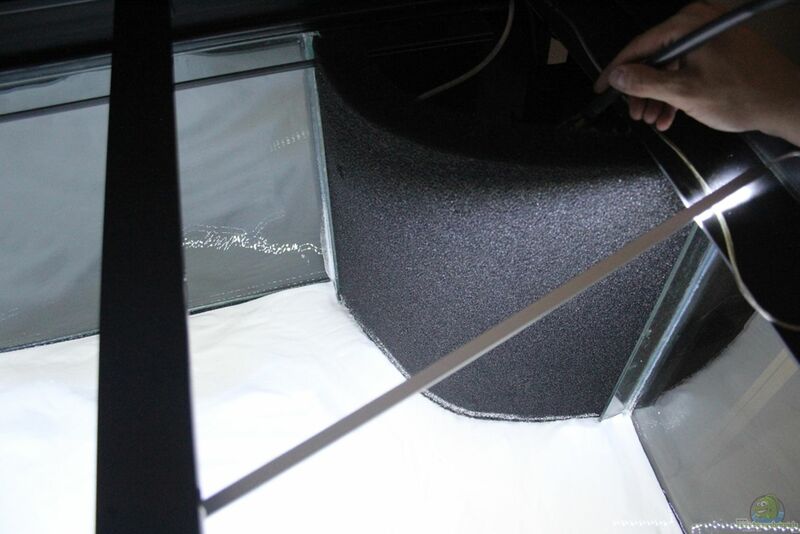 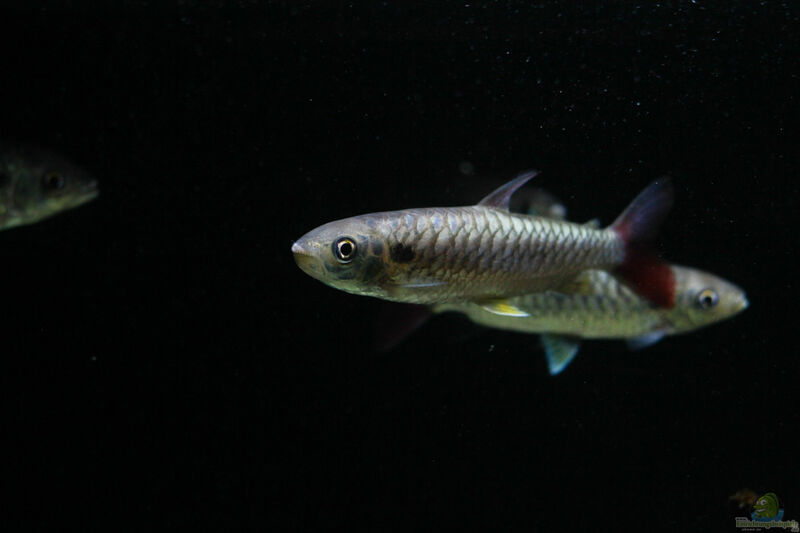 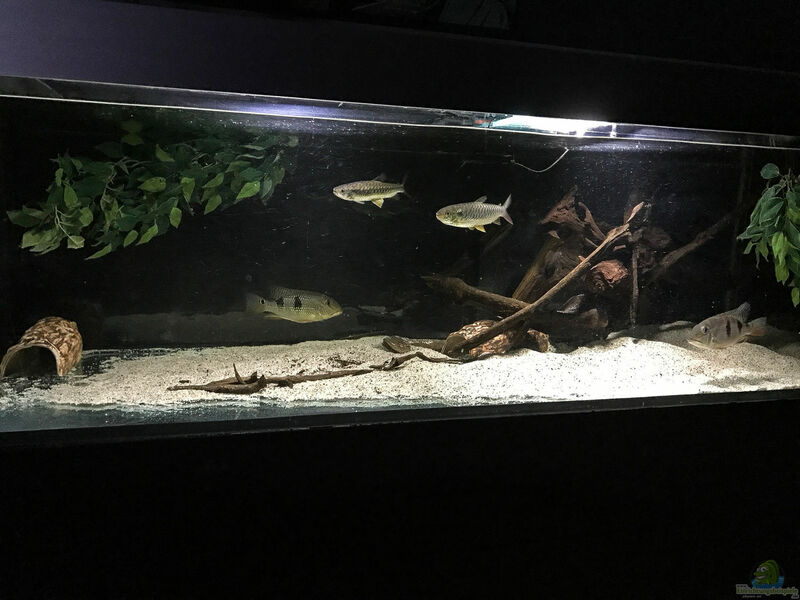 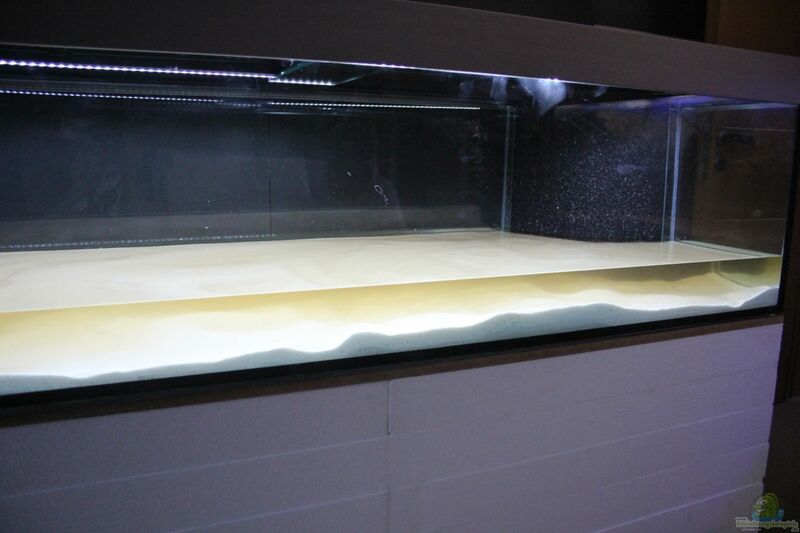 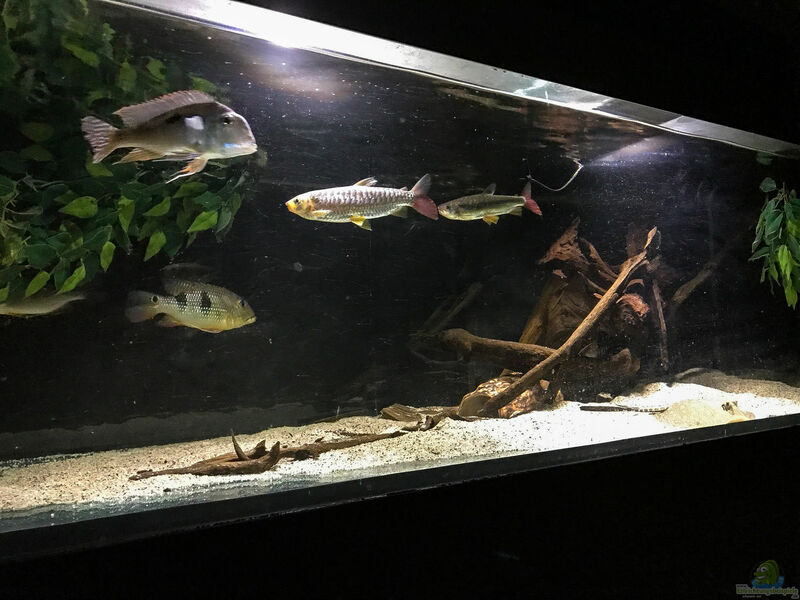 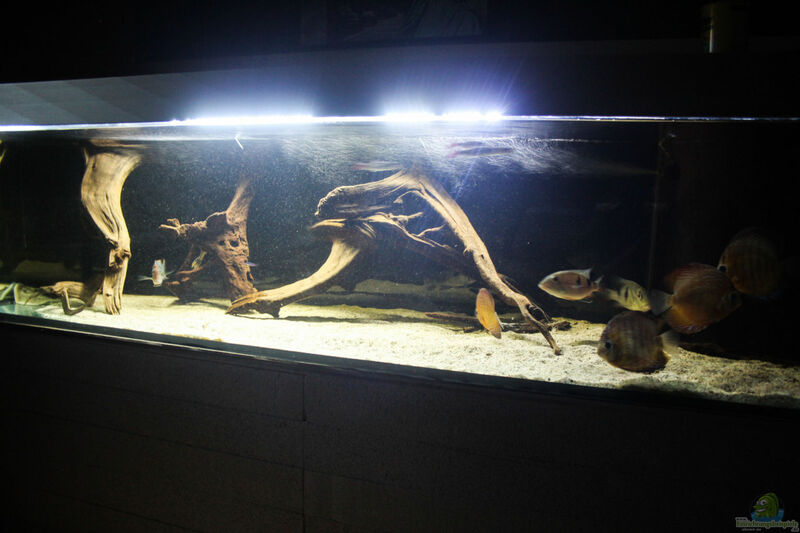 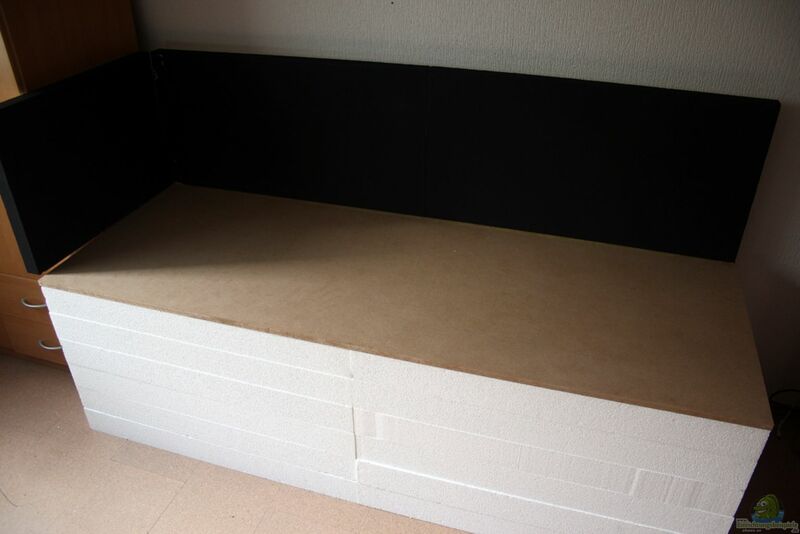 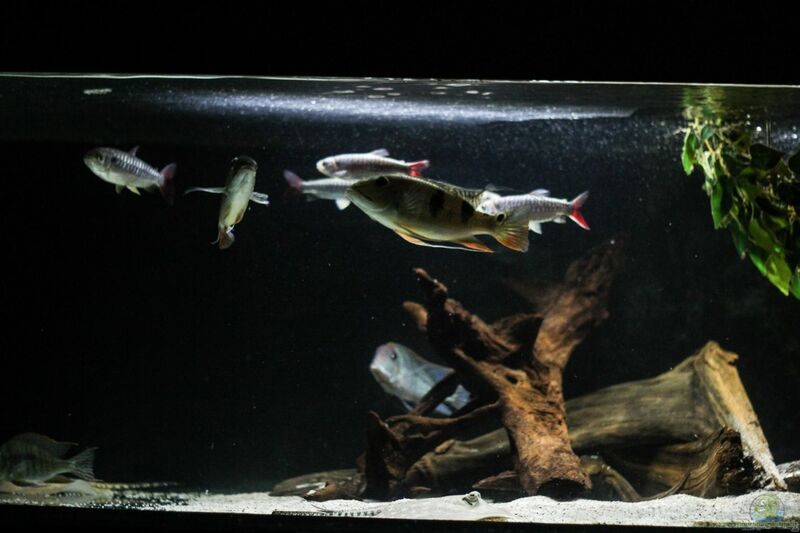 The first mined old 390L Aquarium was after it could not be sold reasonably taken in the living room back into operation, can be found here under "Living Ocinoco". 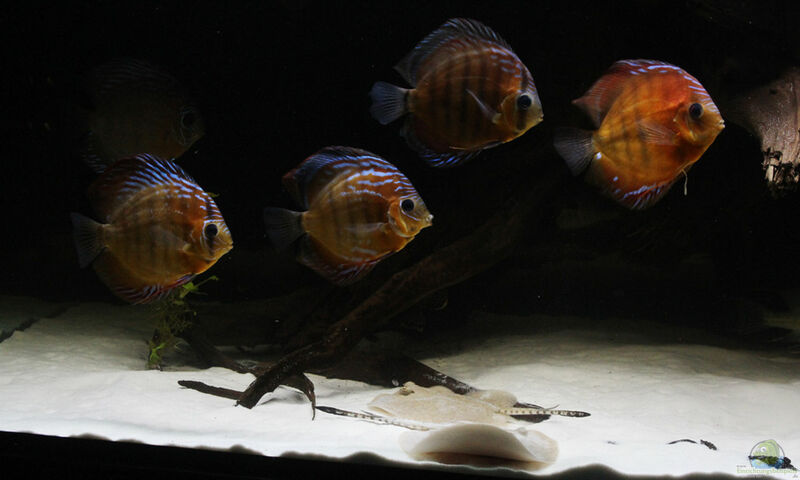 Except for the two Satanoperca daemon is the rest of matter which has moved super blends, so in the big pool was once again place and above all peace of mind for my two Hystrix. 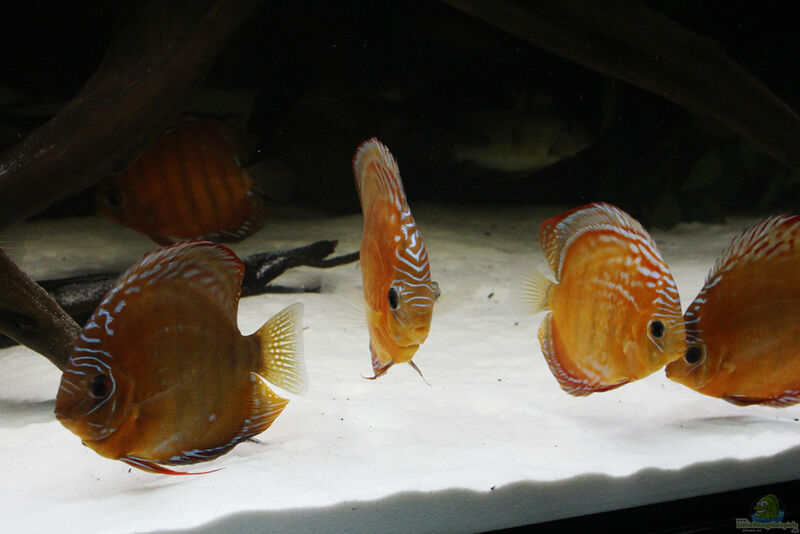 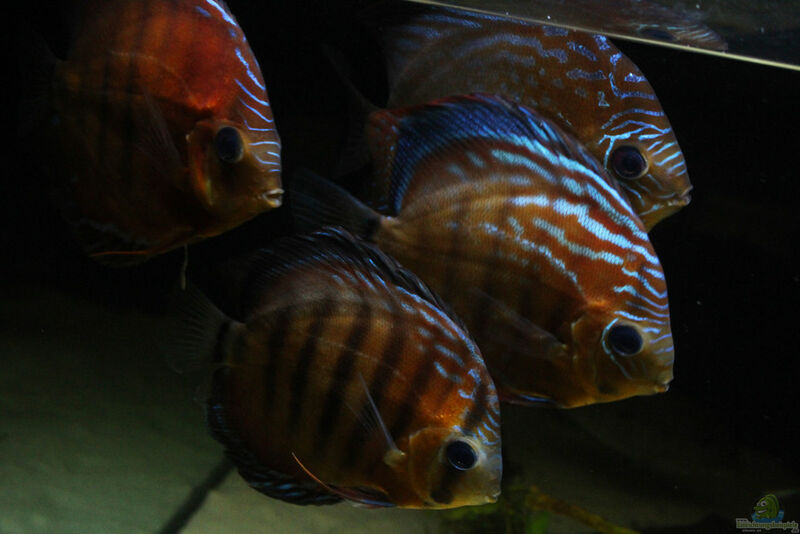 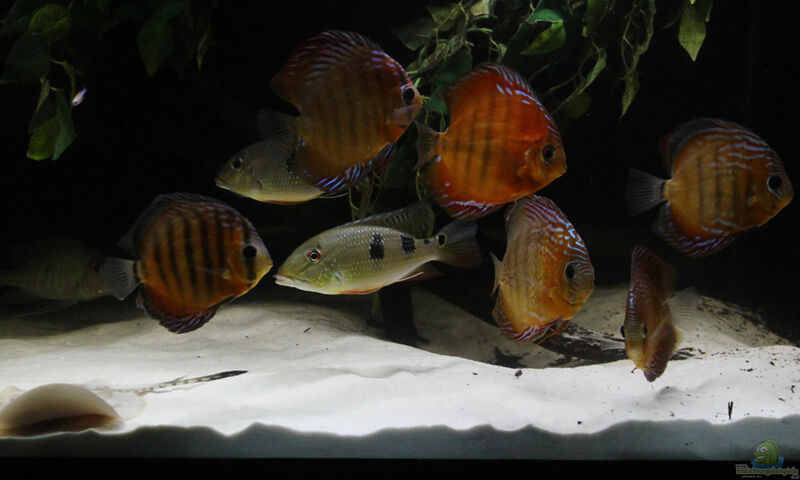 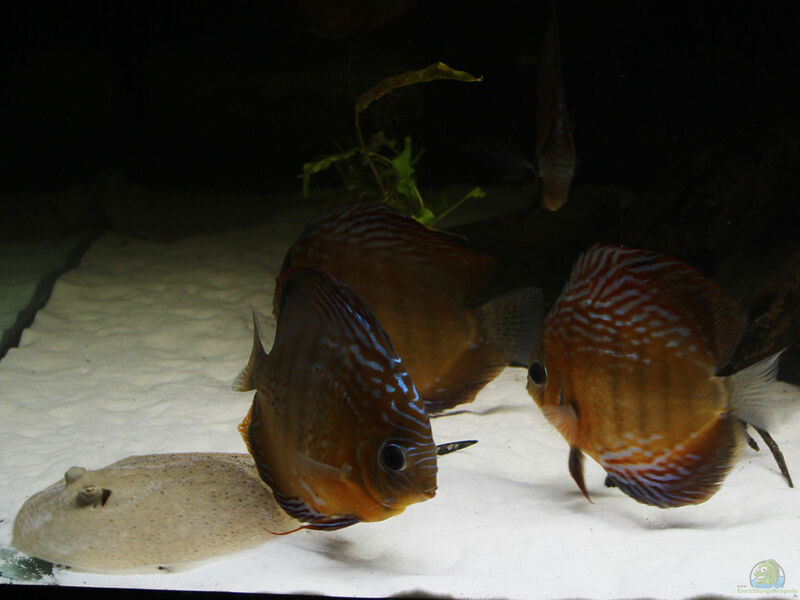 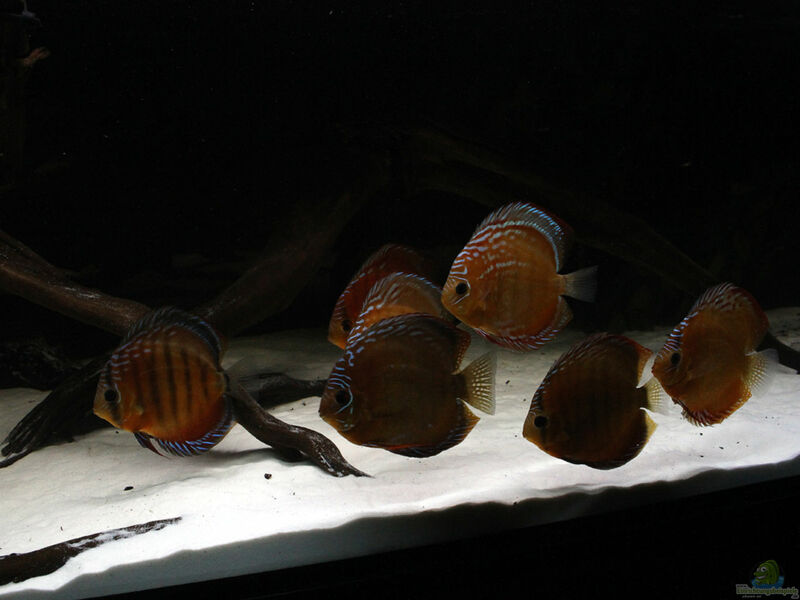 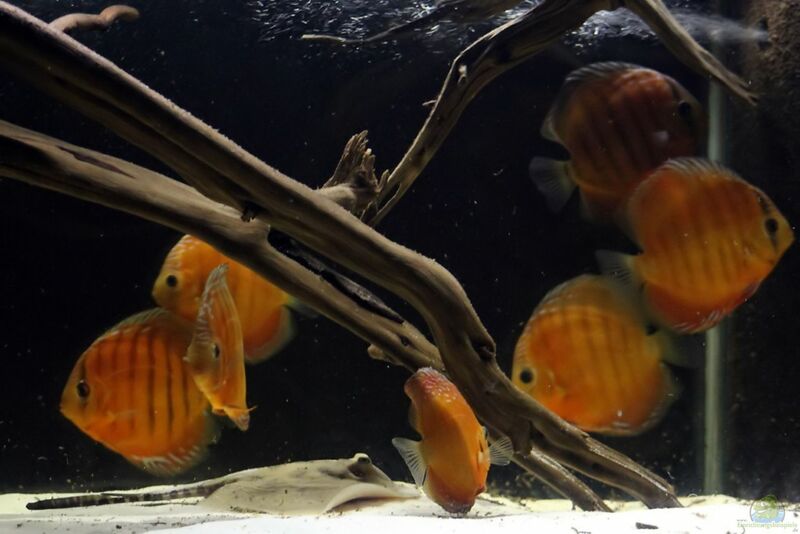 When I was looking for a quieter stocking for the pool, I came across discus, had informed me some time and I finally decided on 8 Nhamunda / Alenquer tomboy offspring. 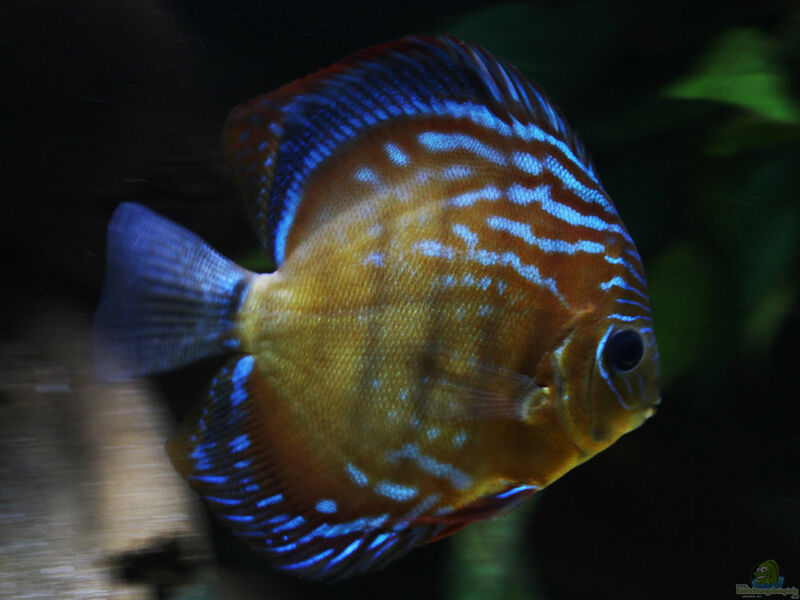 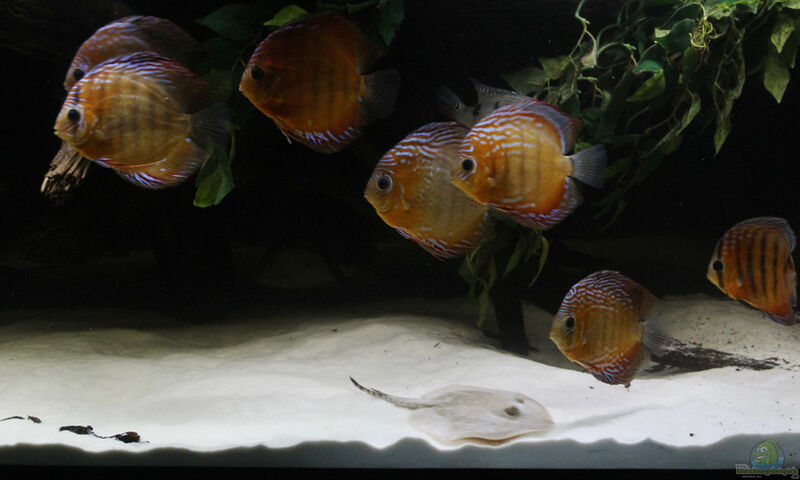 Tomboy discus came for me as a beginner is not in question and because I really like the natural color, I am very happy with my offspring. 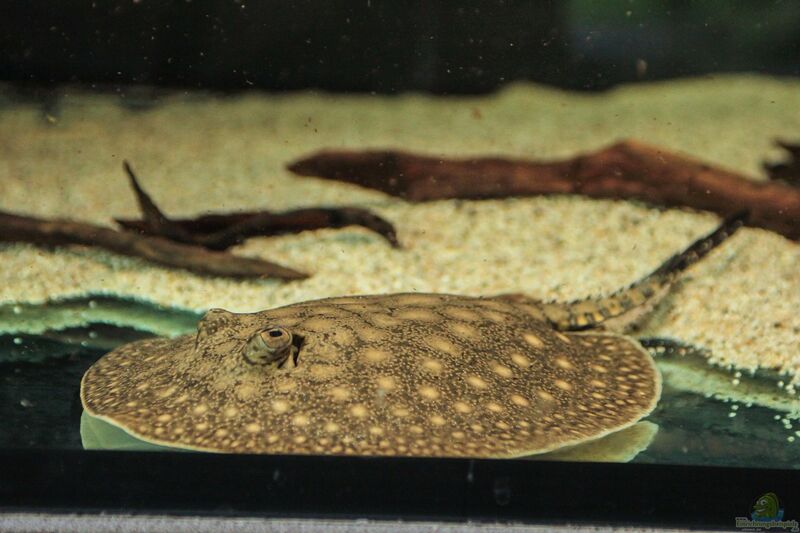 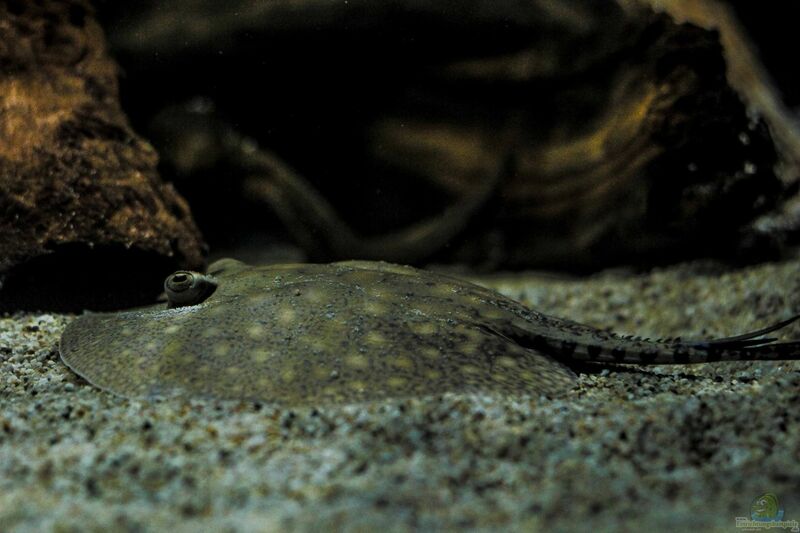 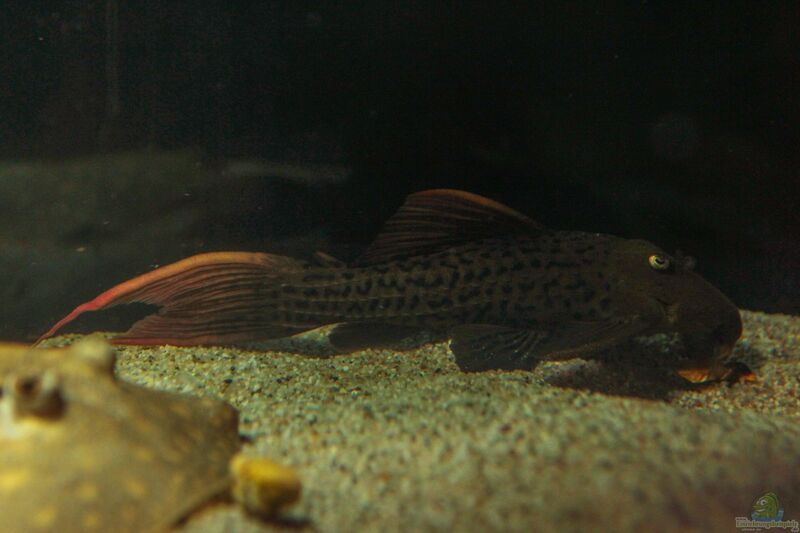 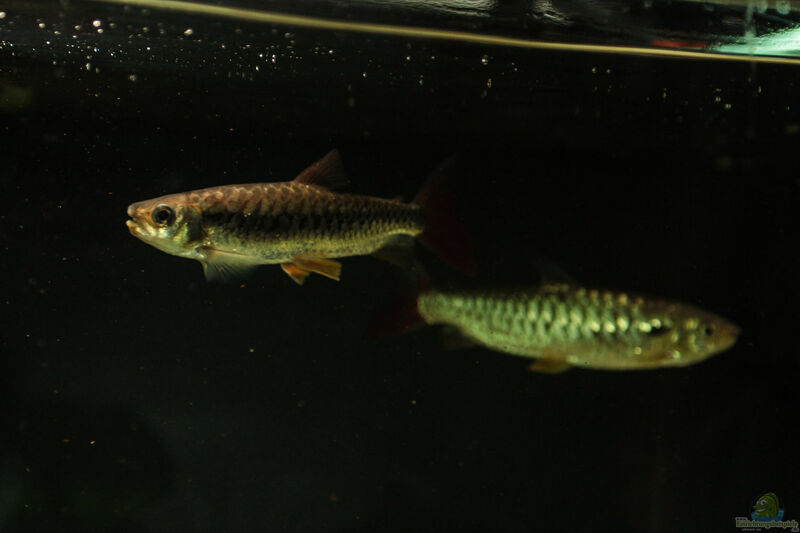 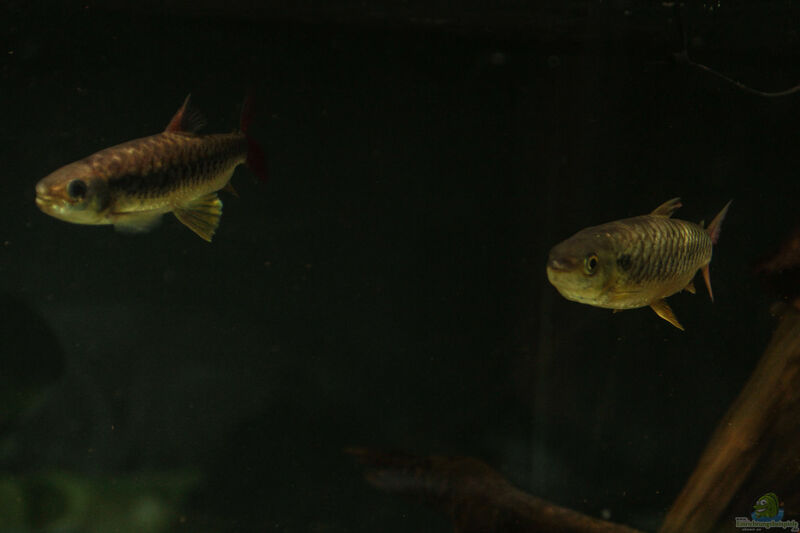 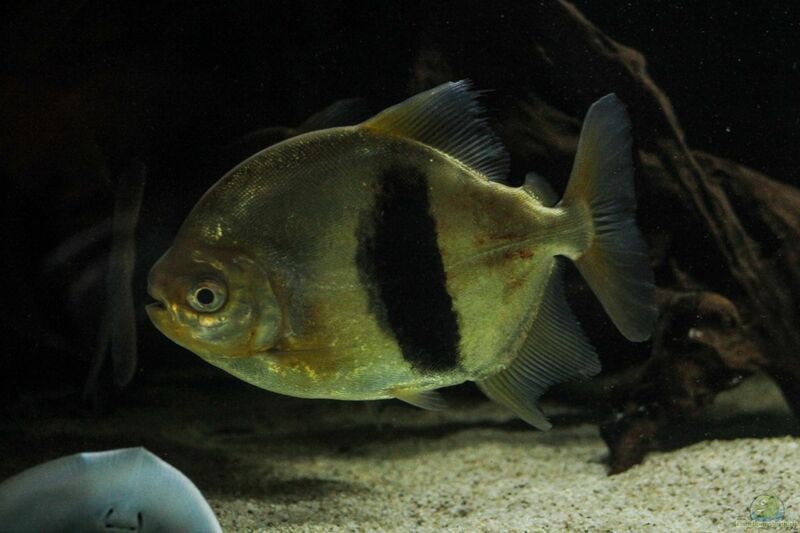 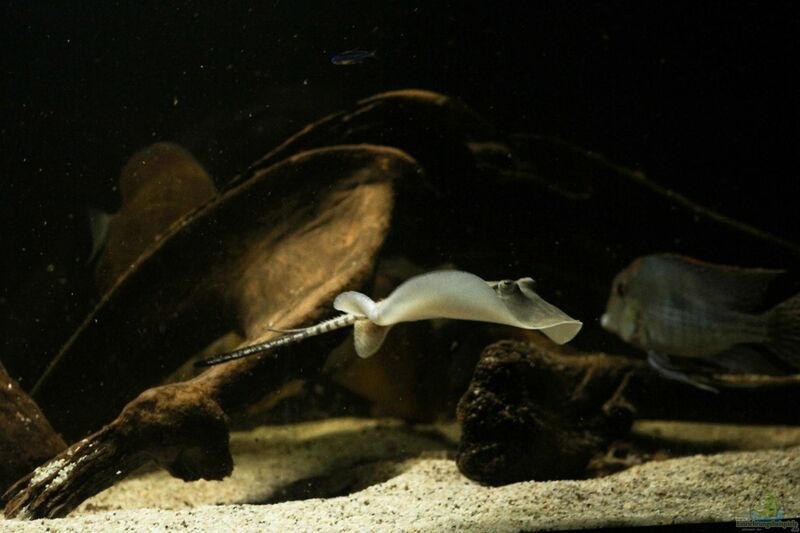 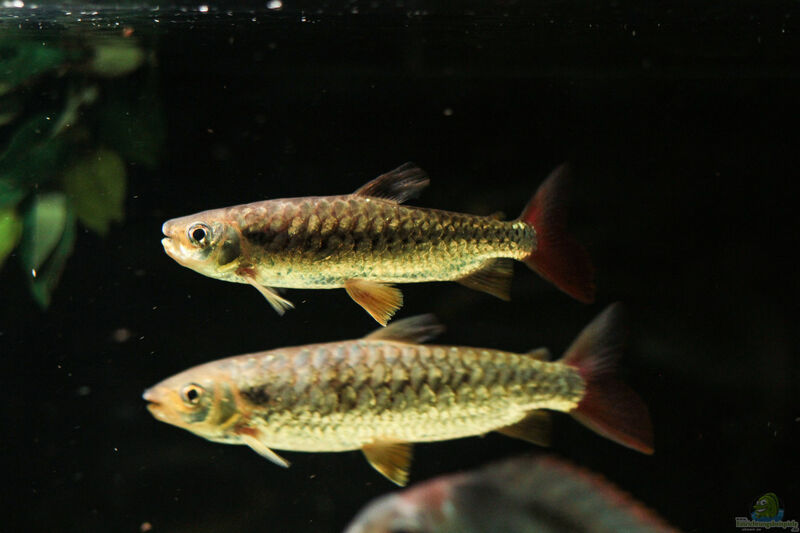 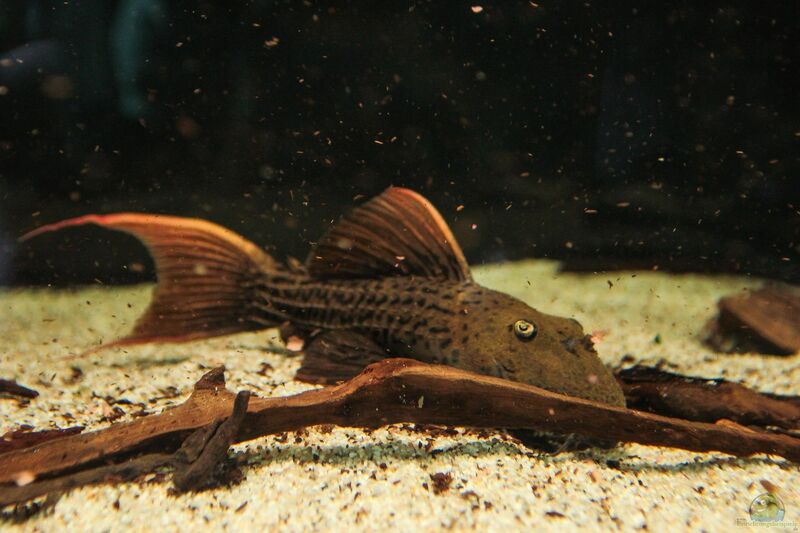 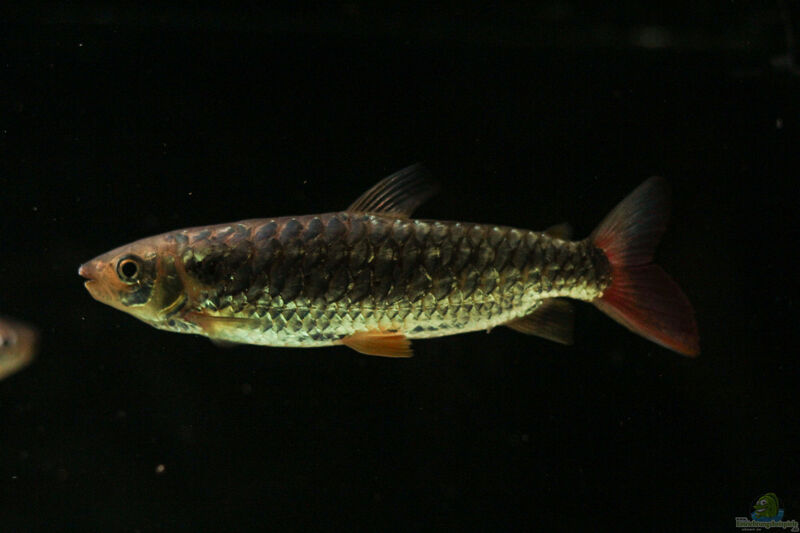 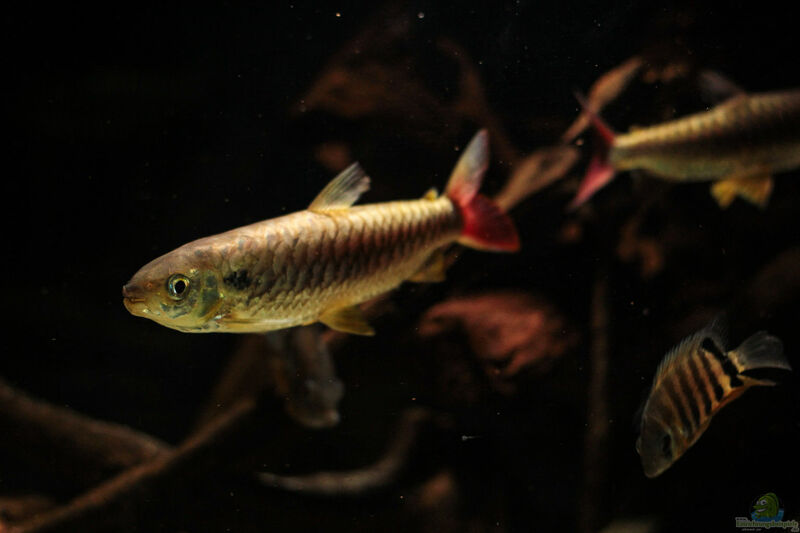 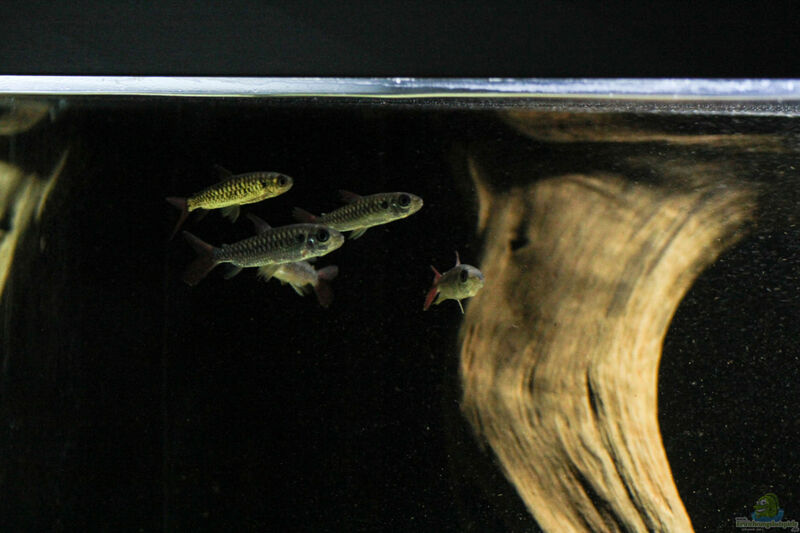 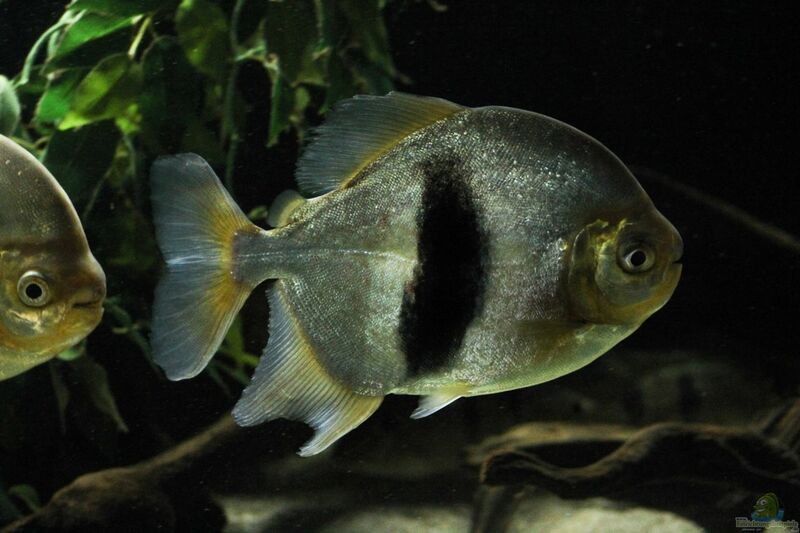 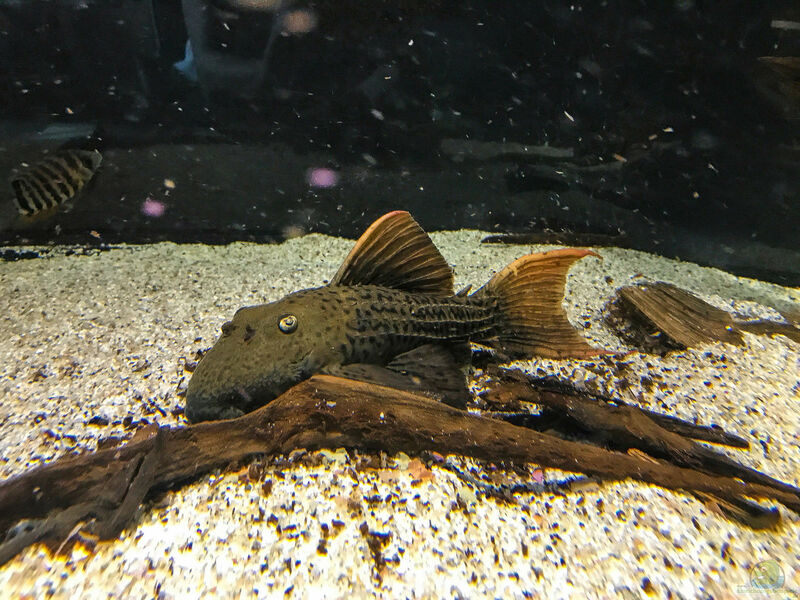 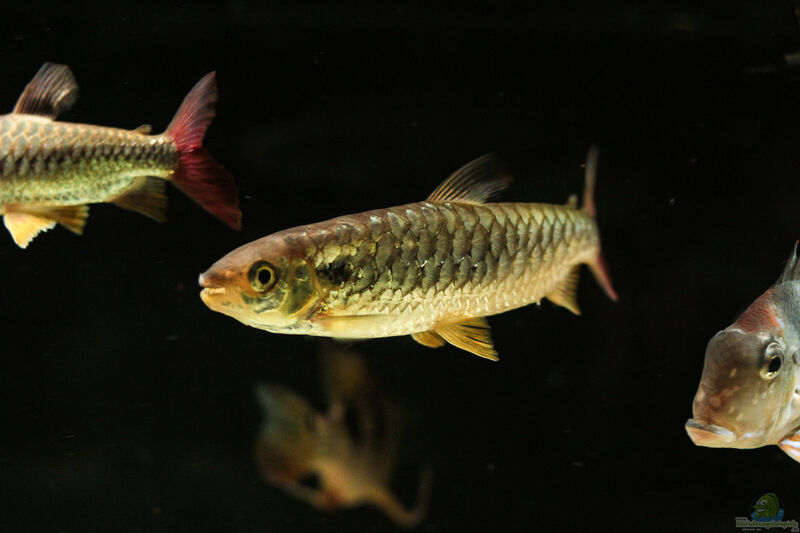 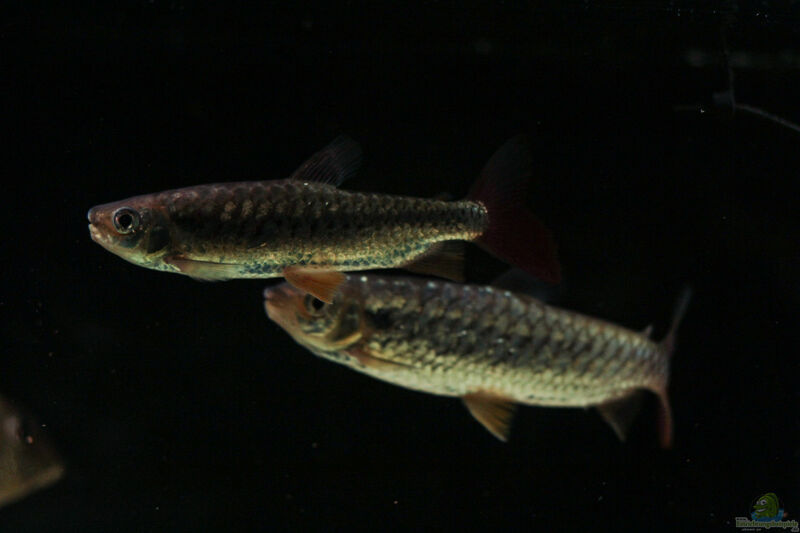 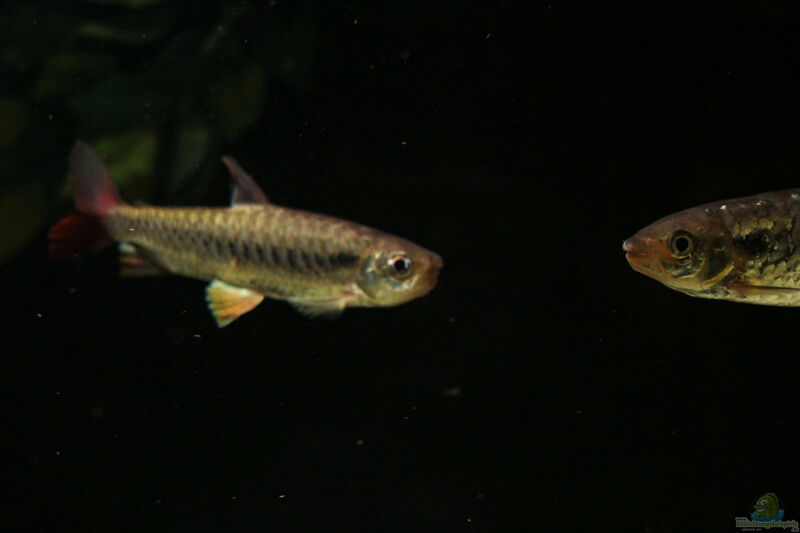 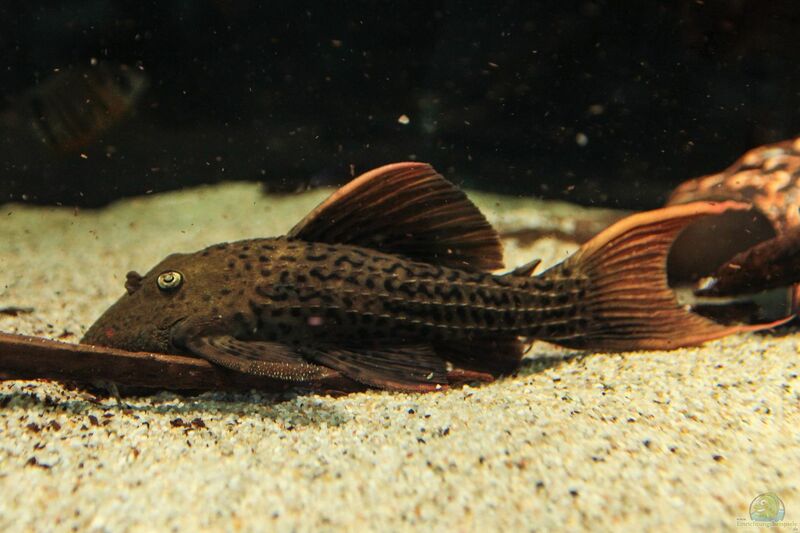 The Potamotrygon Hystrix were delivered to a well-known aquarium and for a couple Potamotrygon Scobina was used. 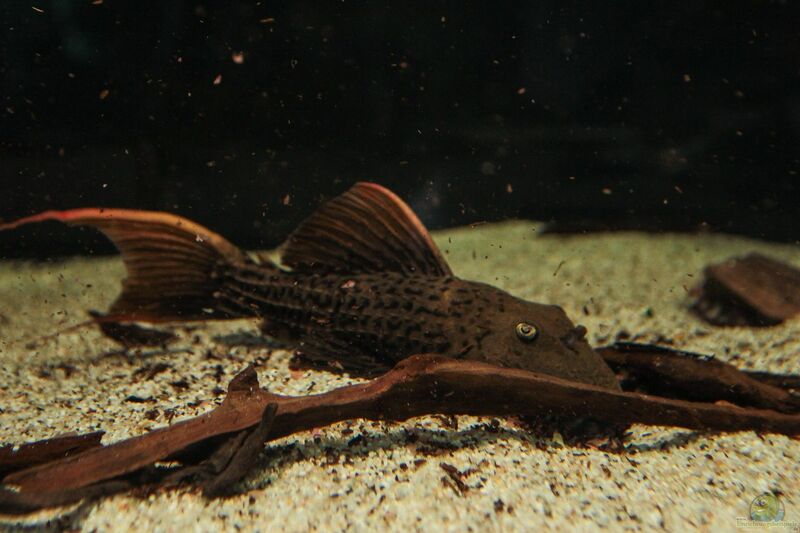 Since the Scobinas again remain a few cm smaller than the Hystrix, they may first be maintained permanently. 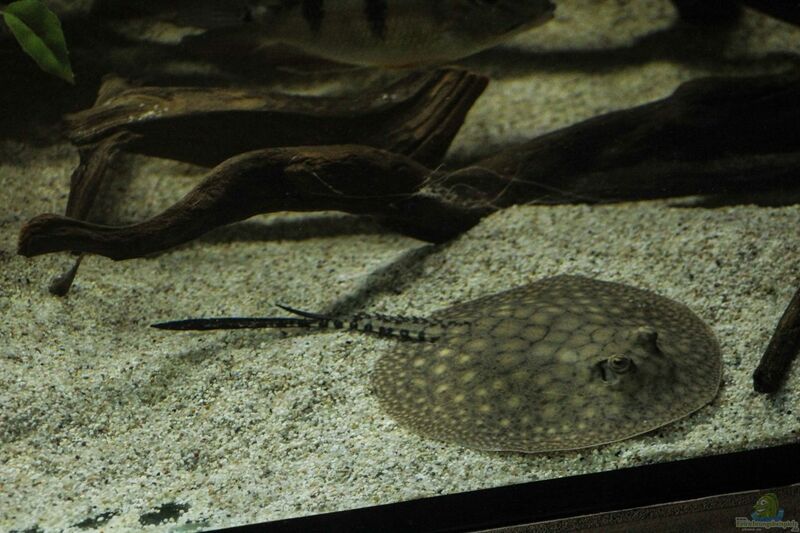 The male will be grown with about 26-28cm, while the female reaches full size at about 30-32cm.